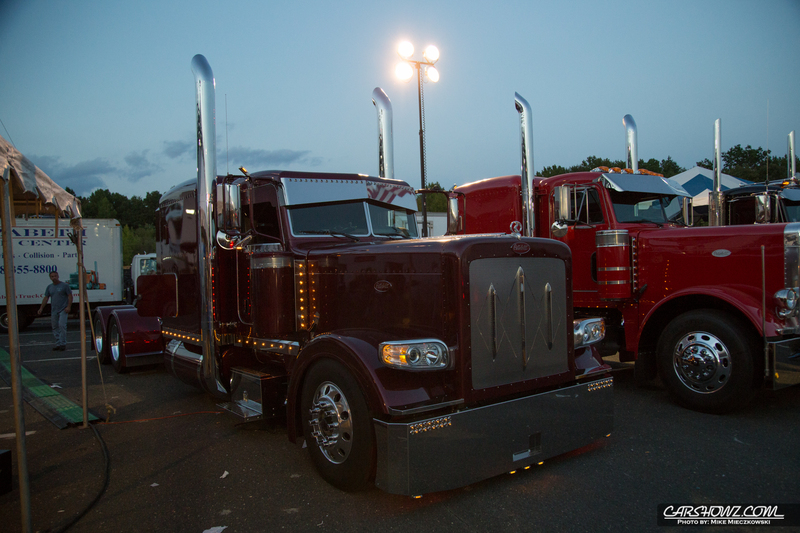 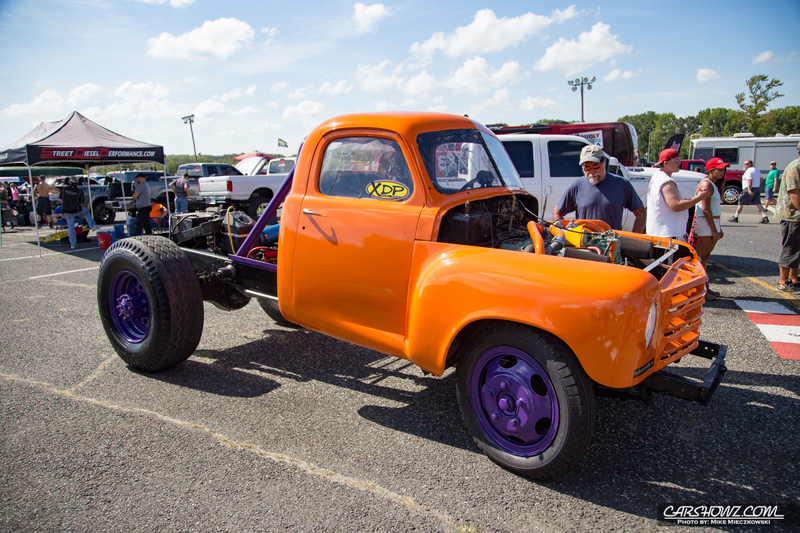 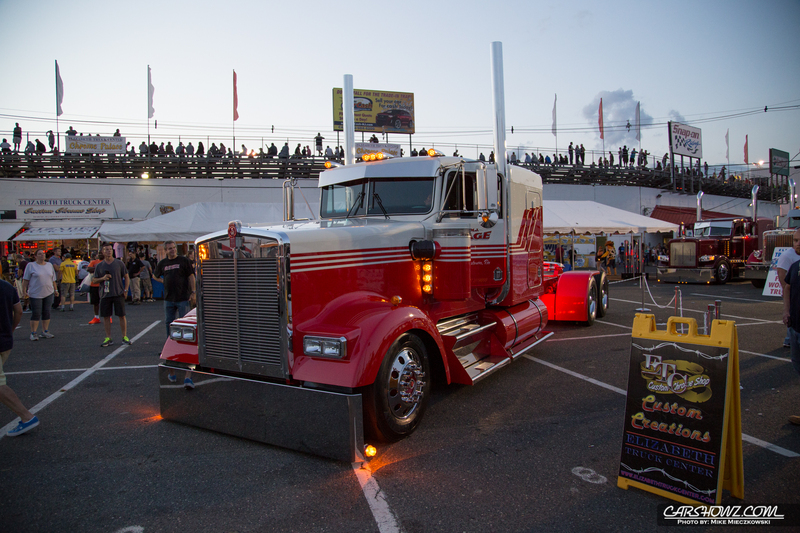 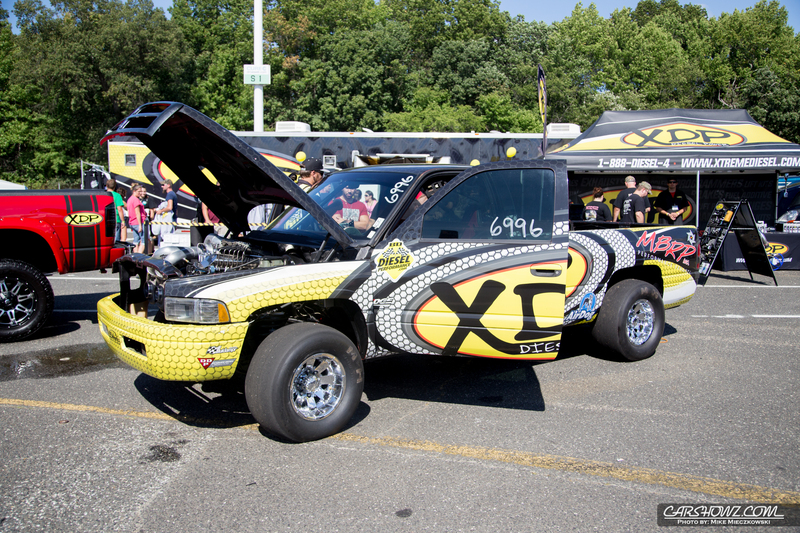 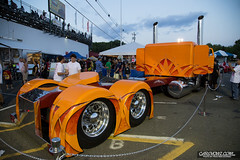 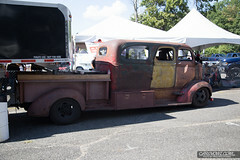 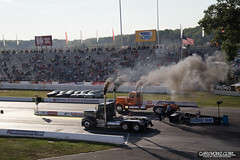 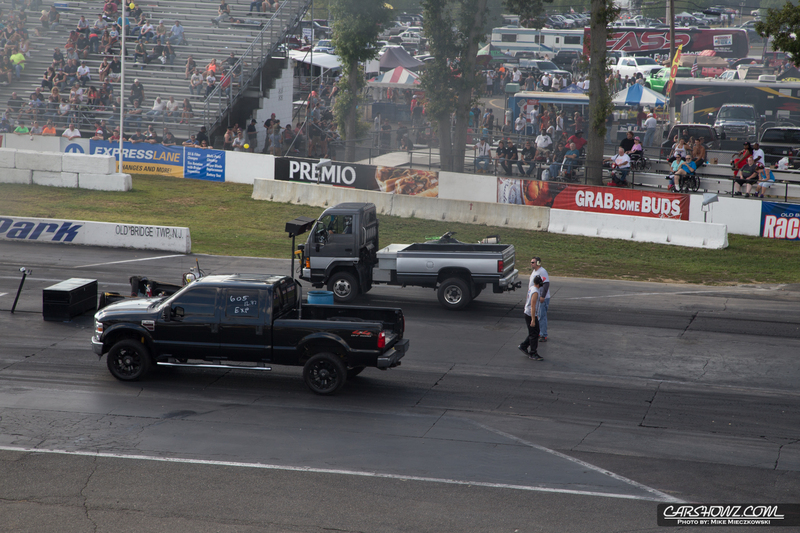 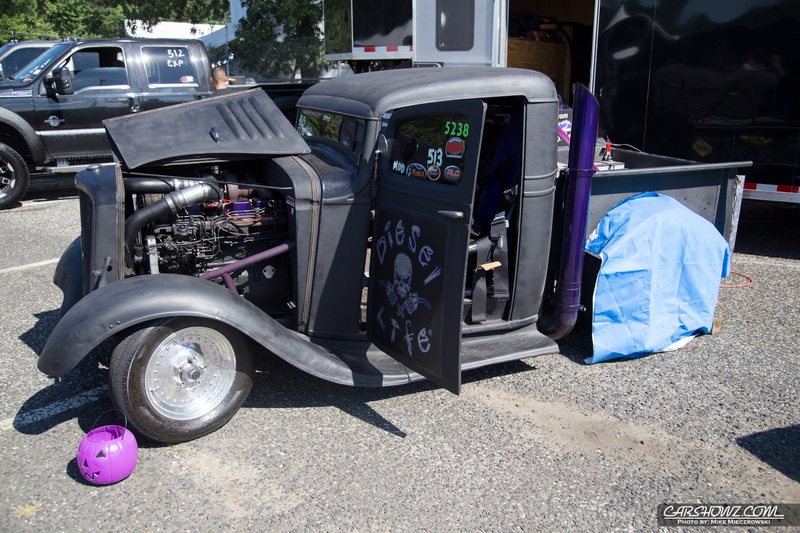 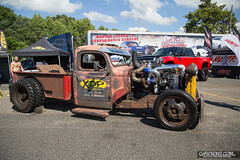 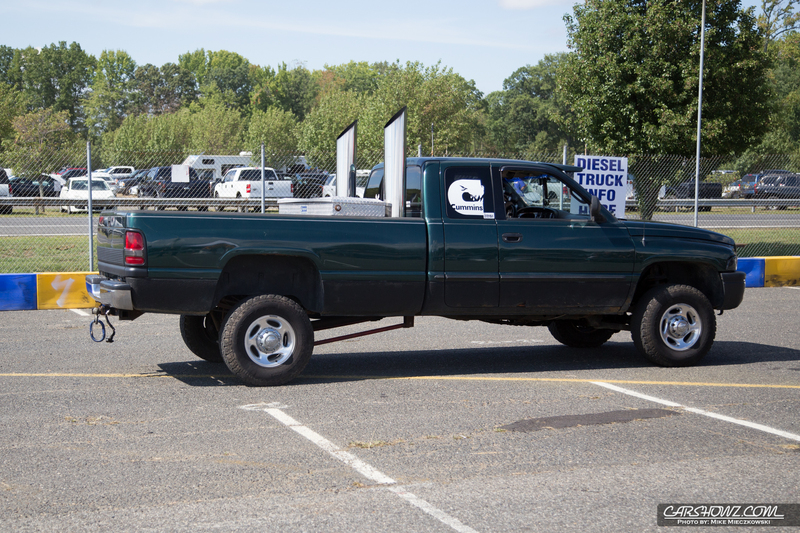 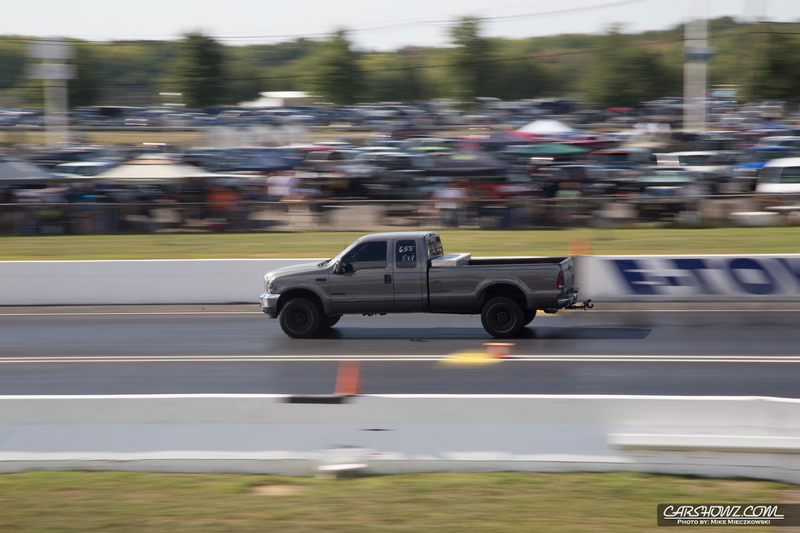 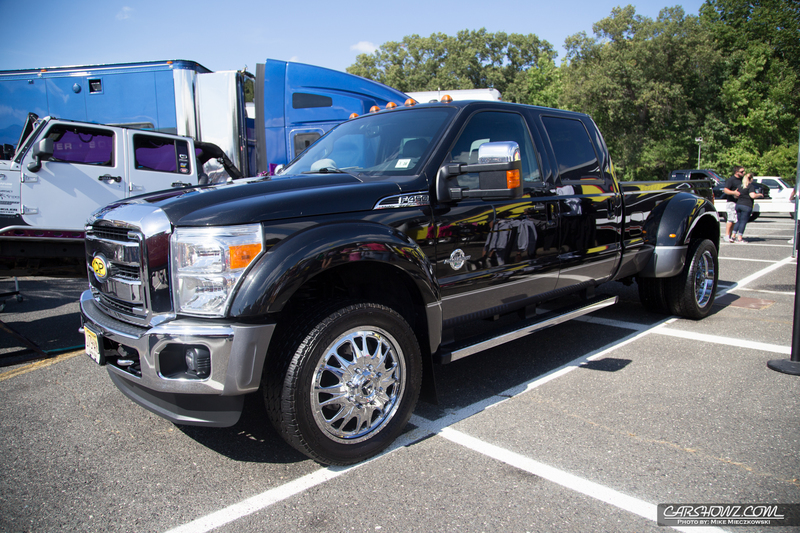 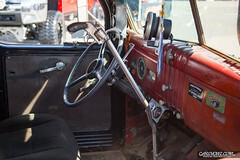 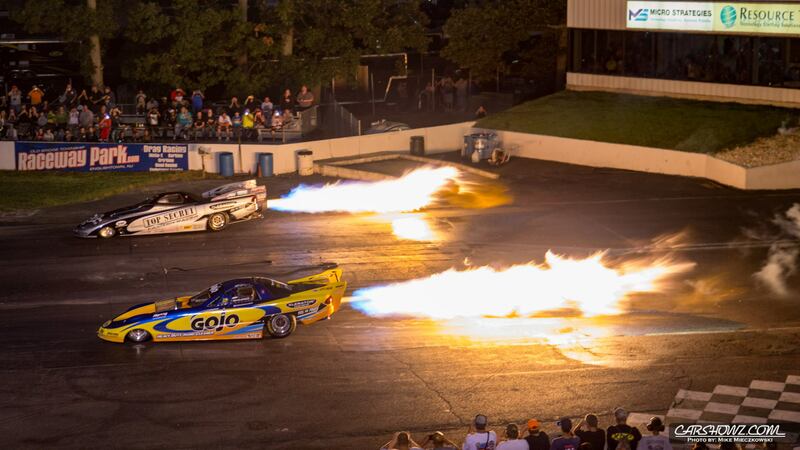 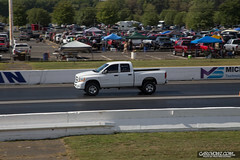 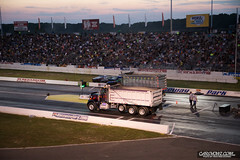 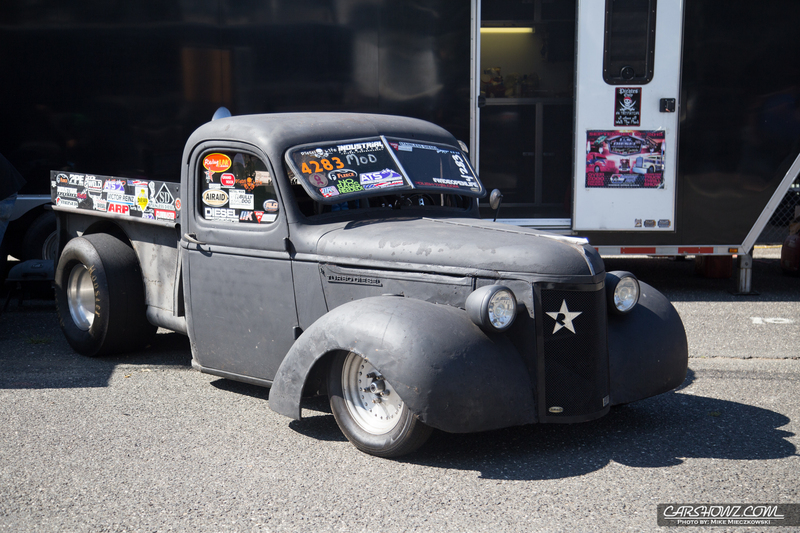 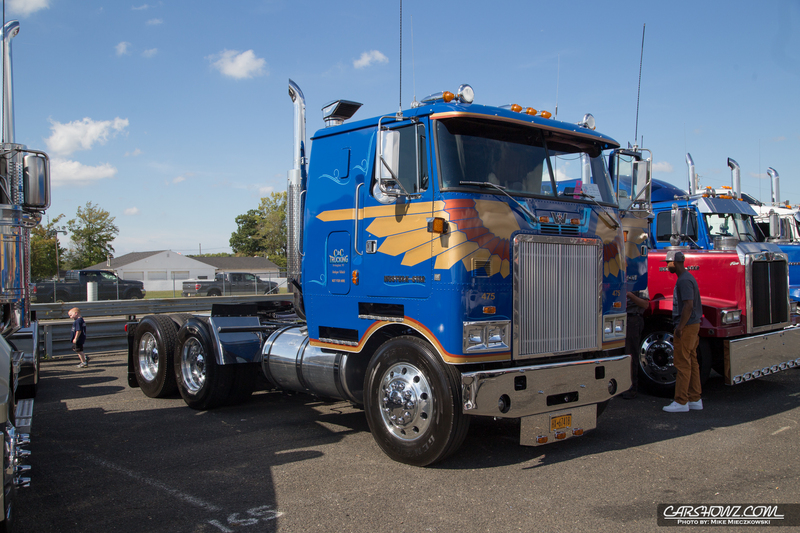 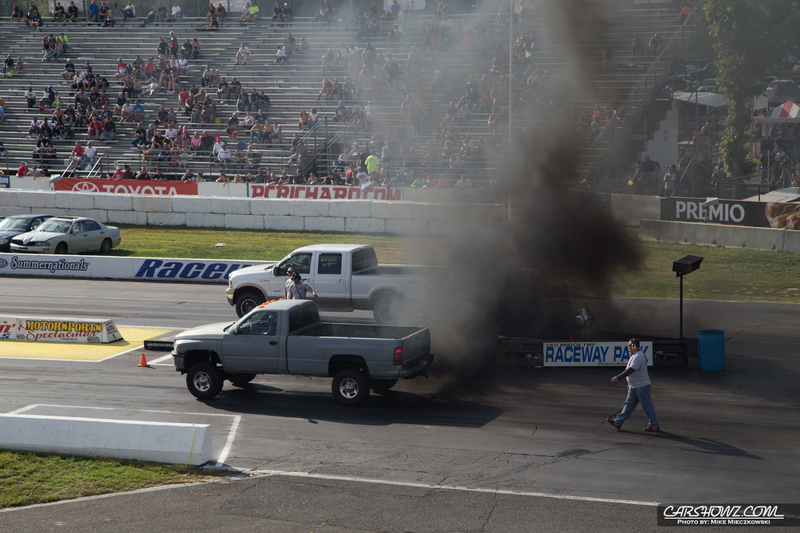 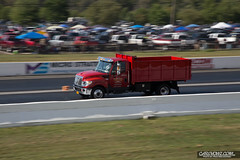 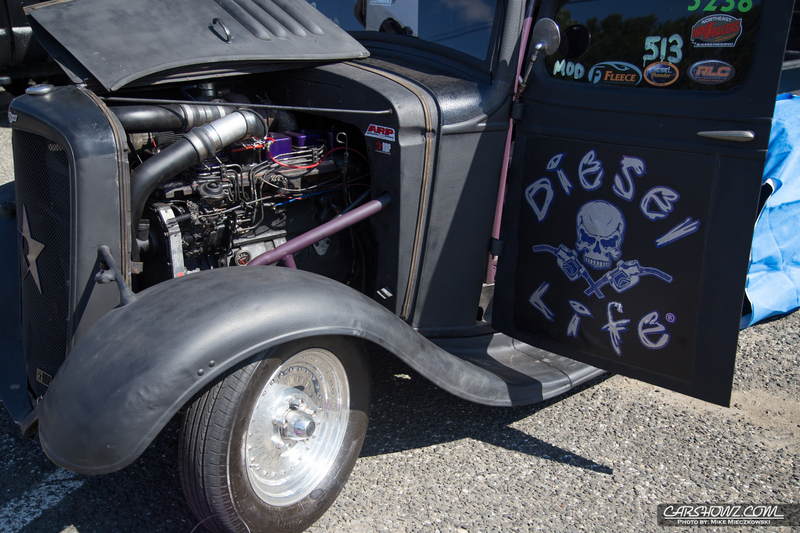 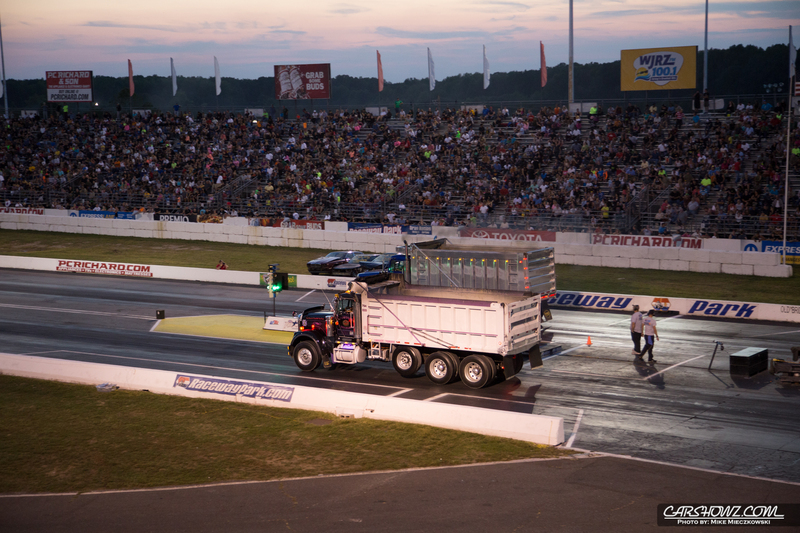 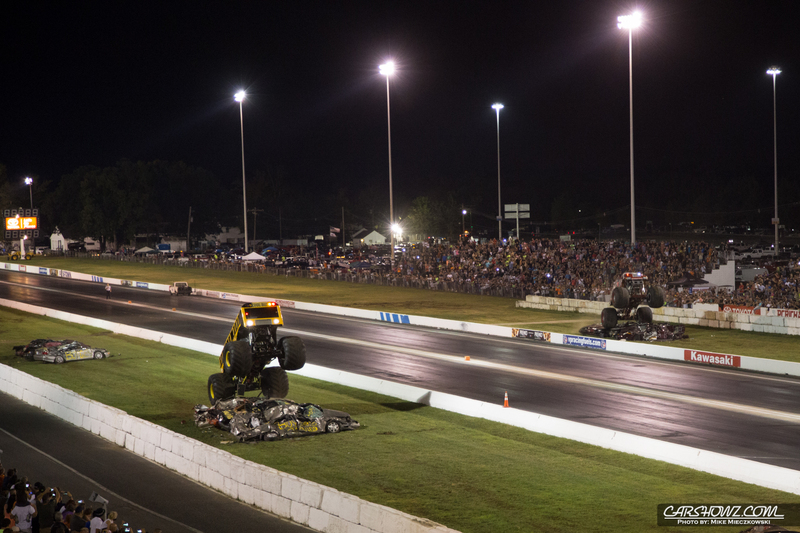 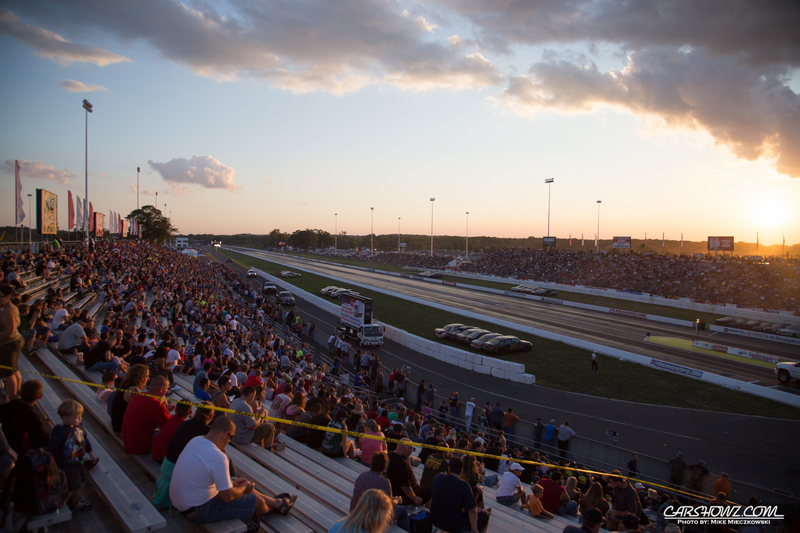 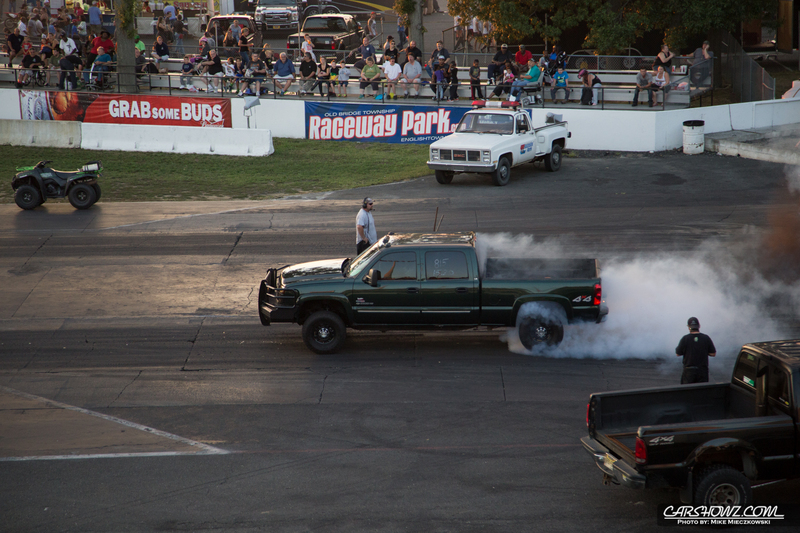 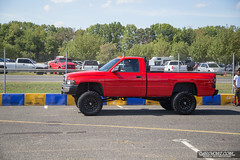 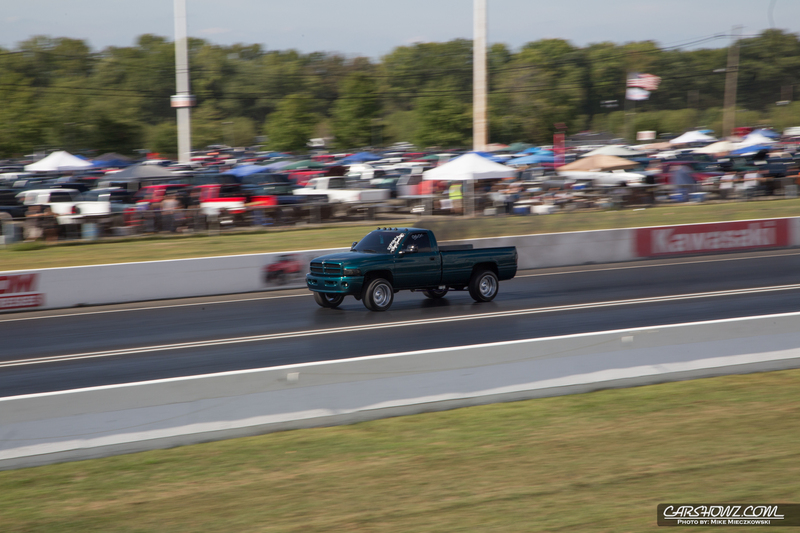 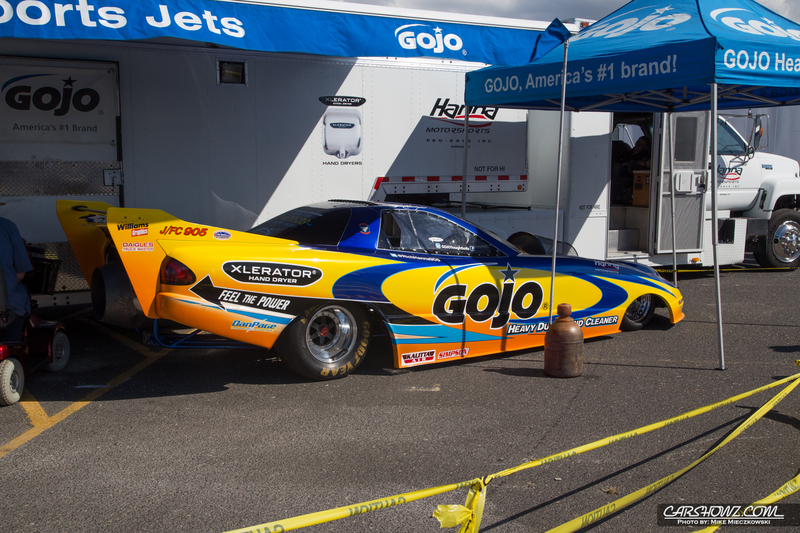 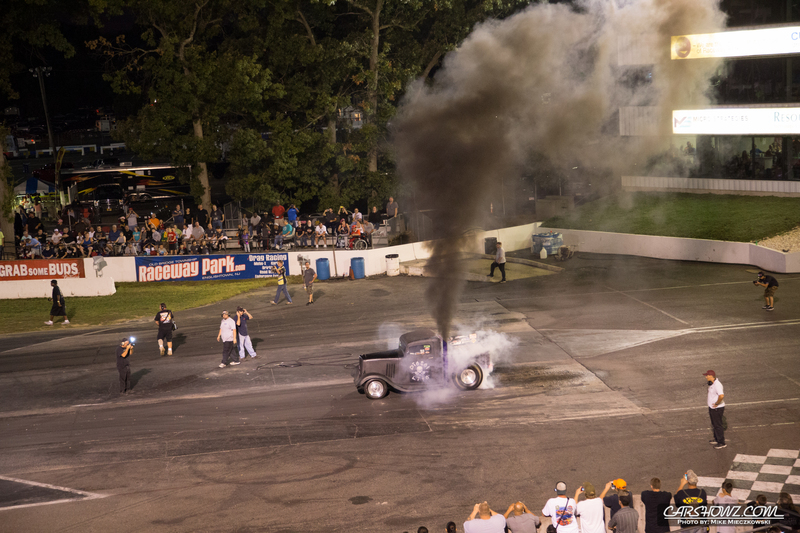 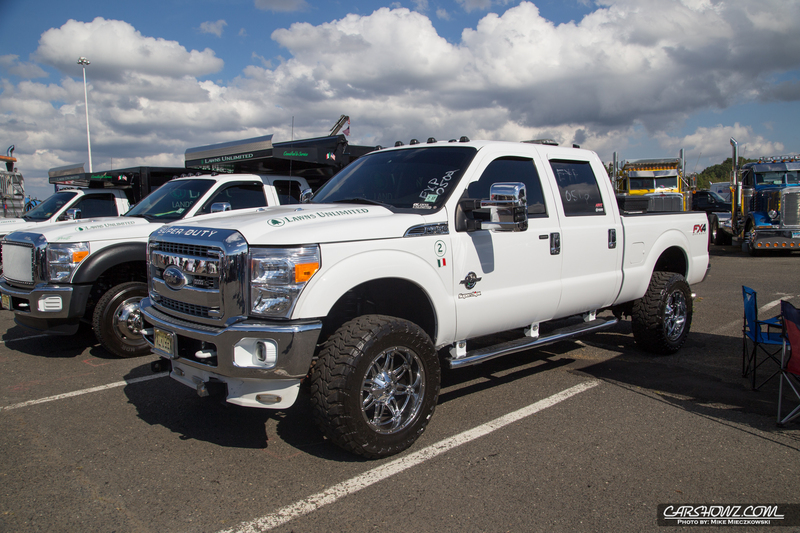 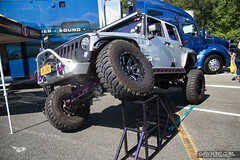 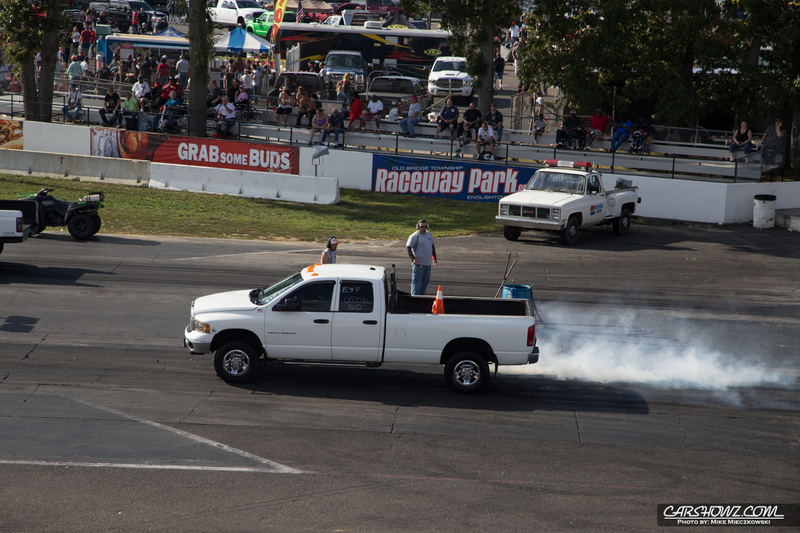 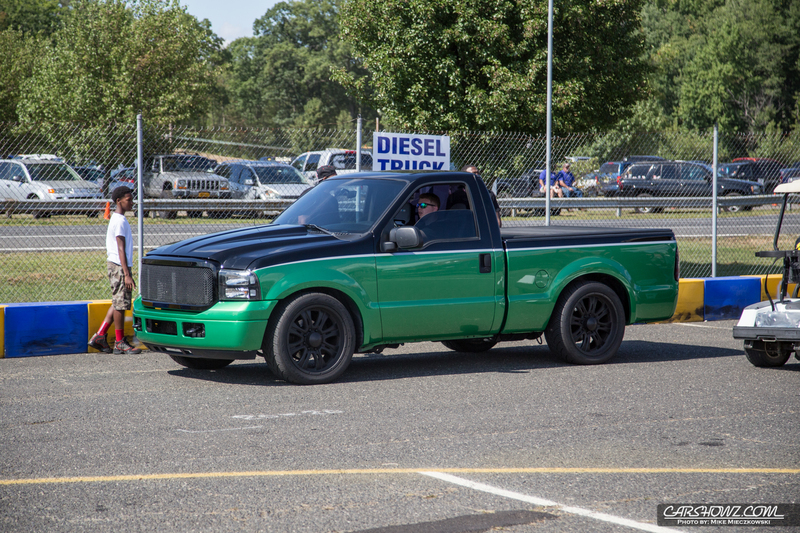 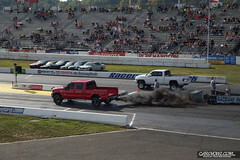 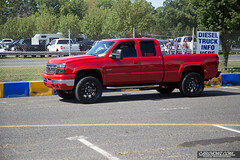 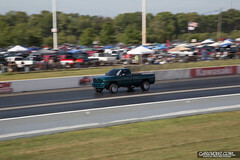 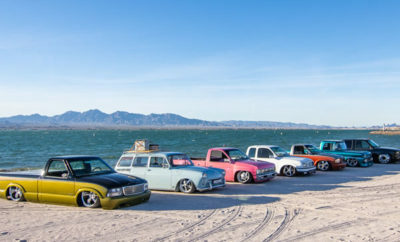 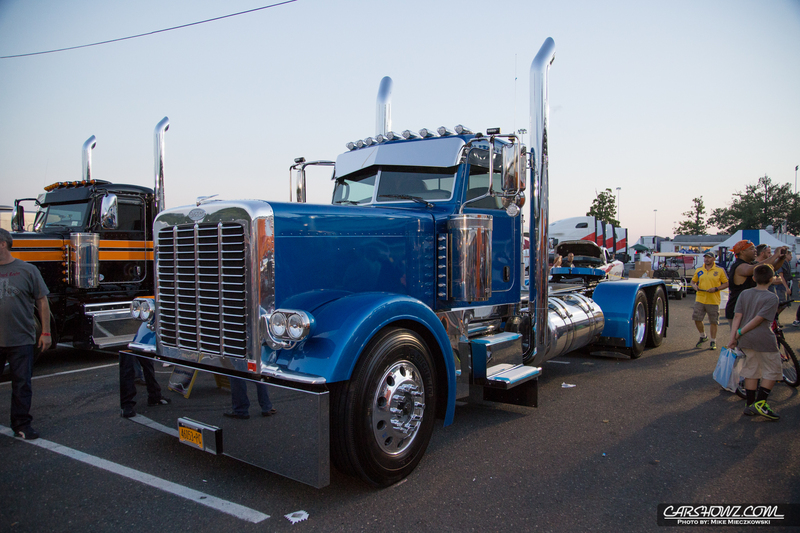 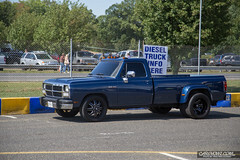 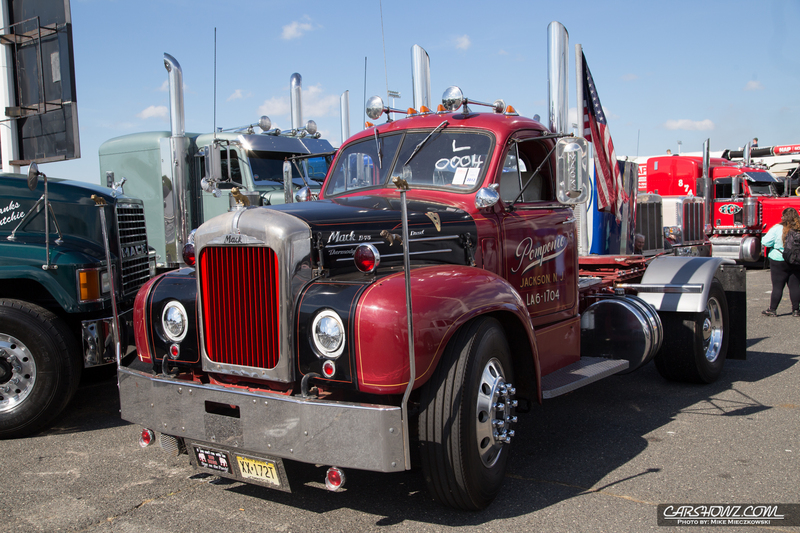 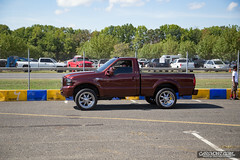 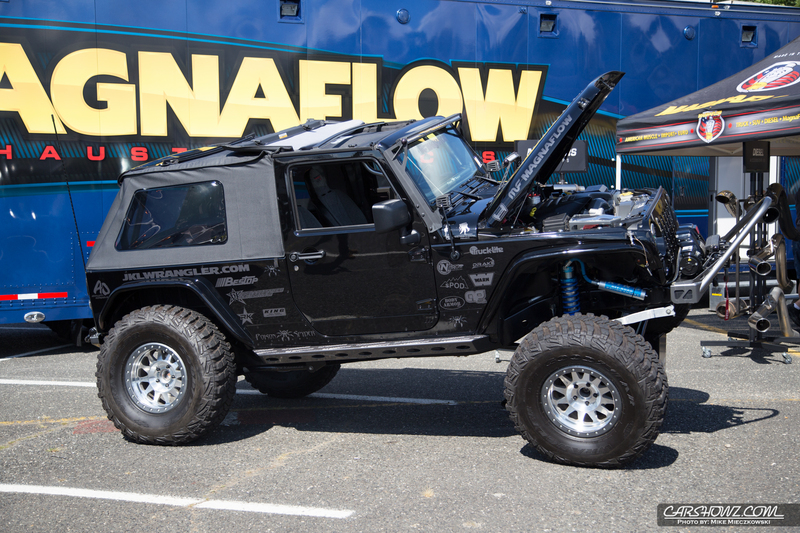 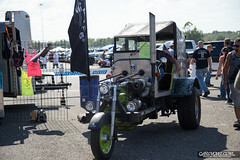 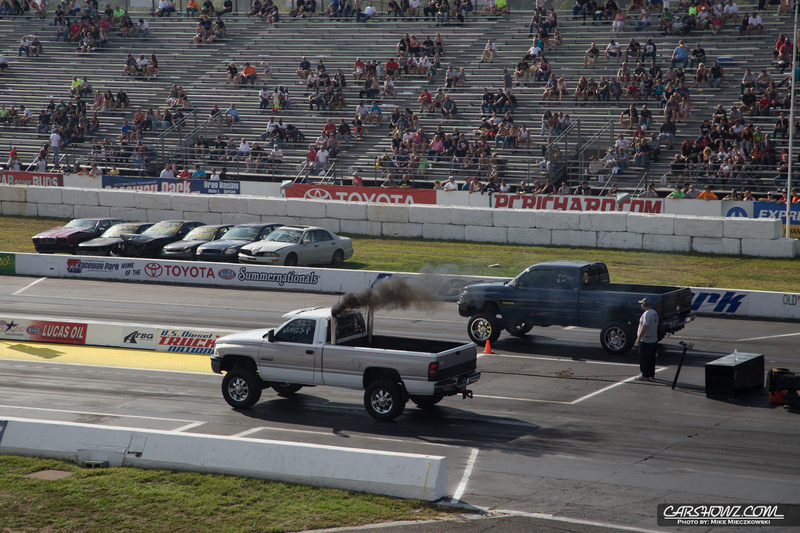 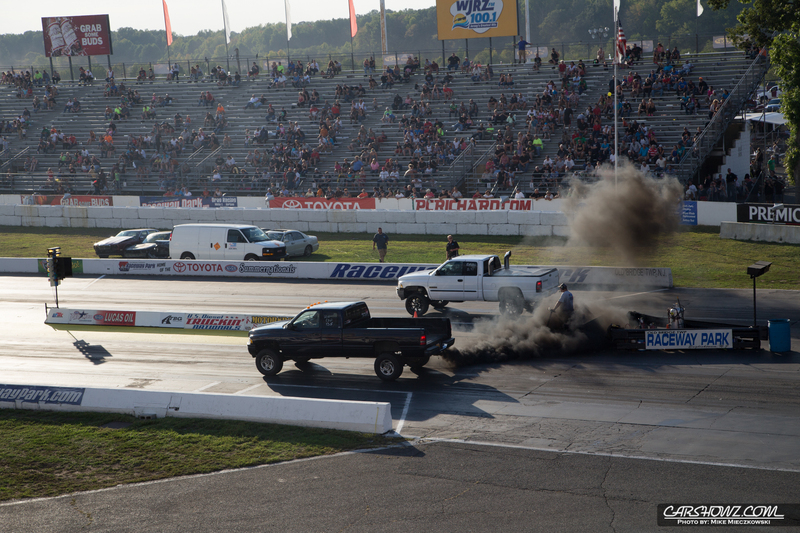 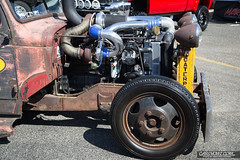 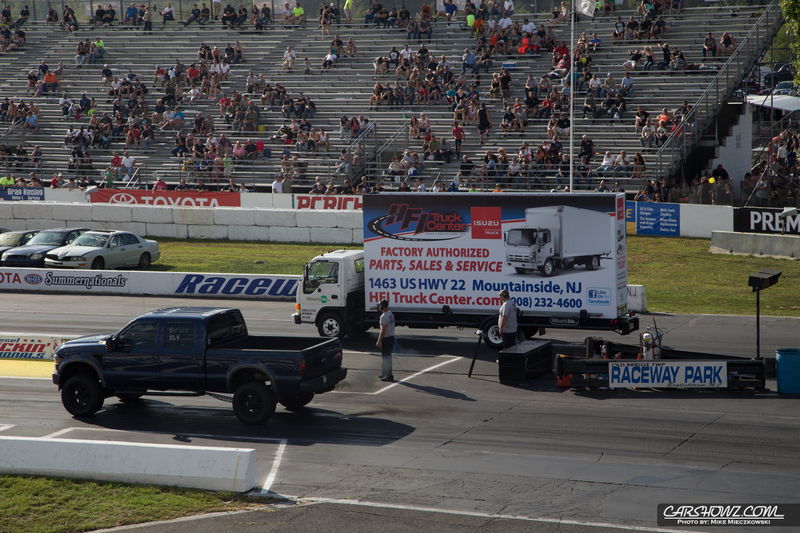 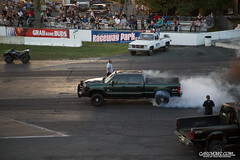 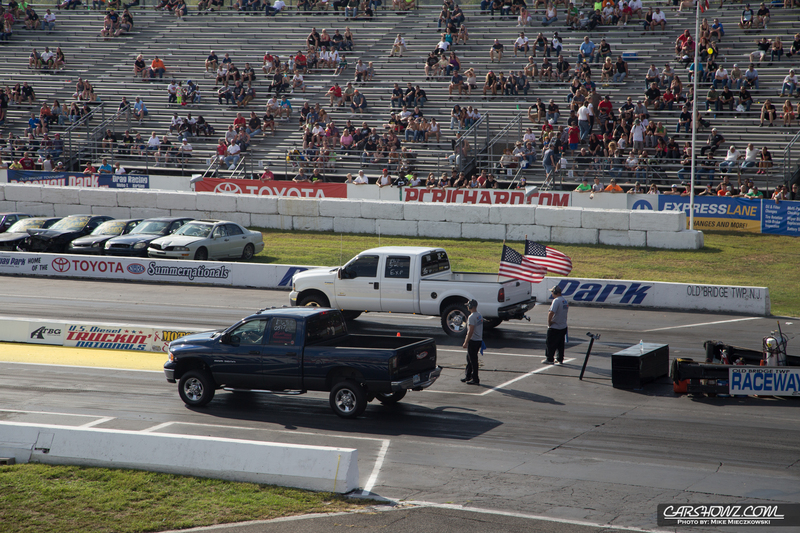 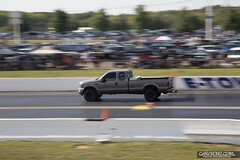 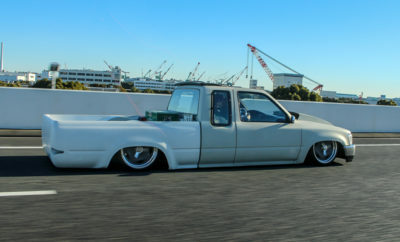 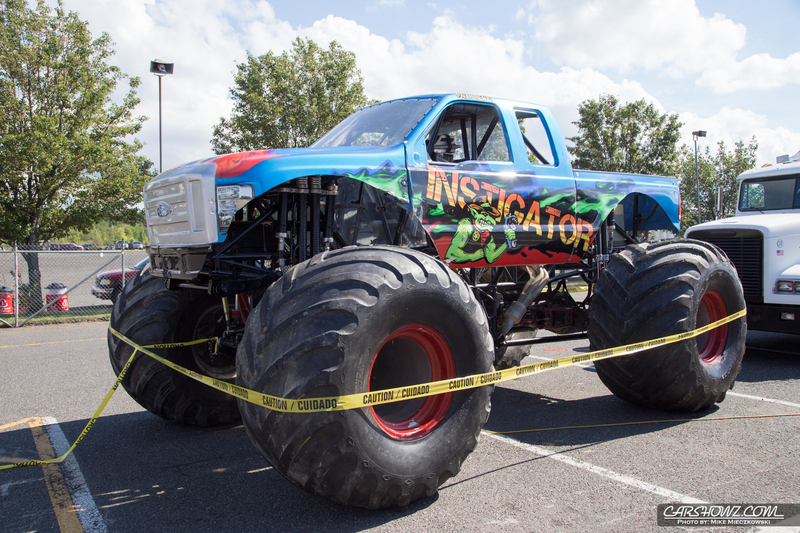 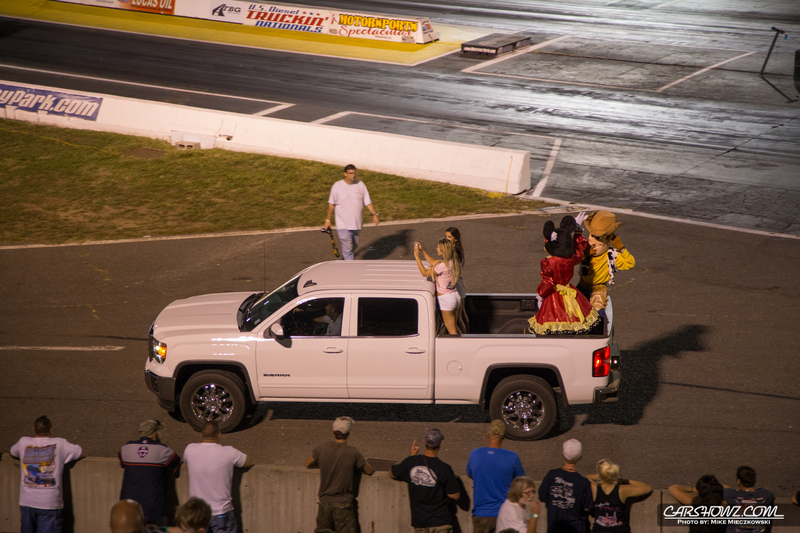 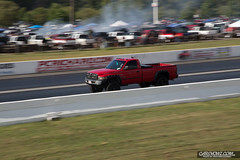 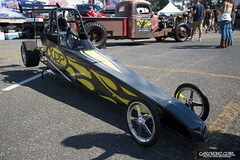 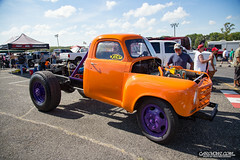 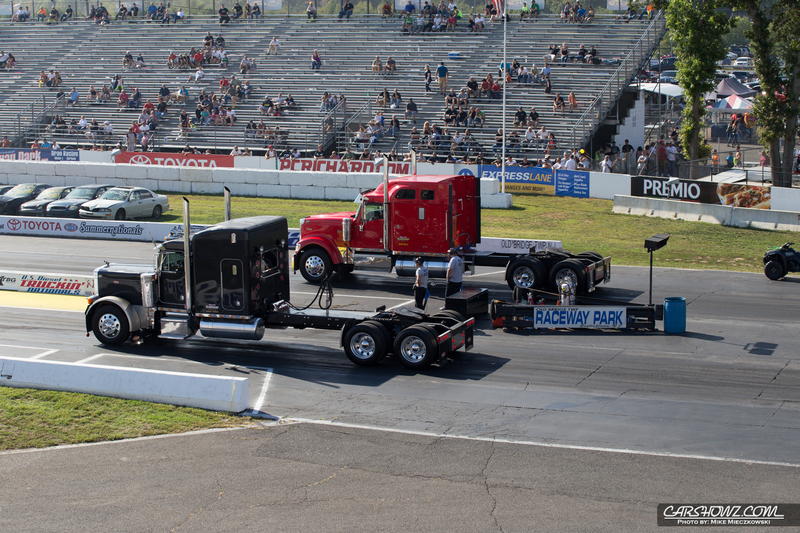 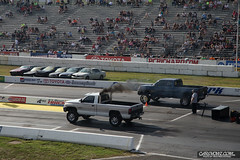 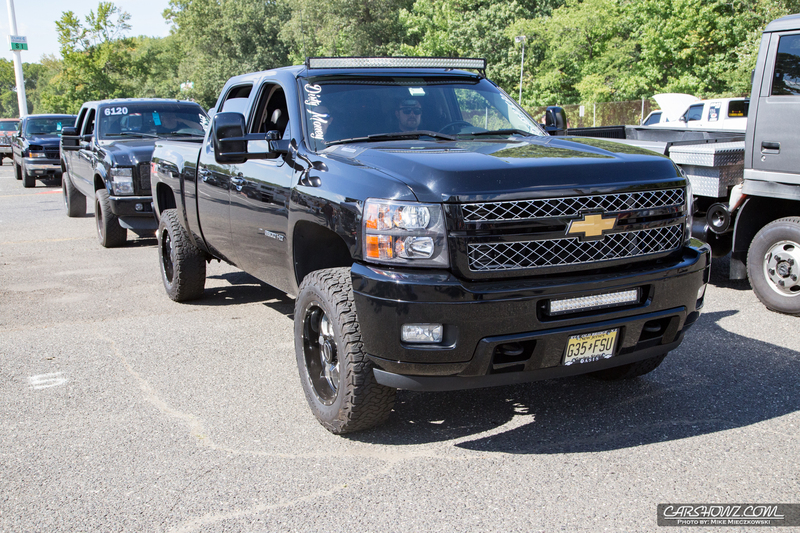 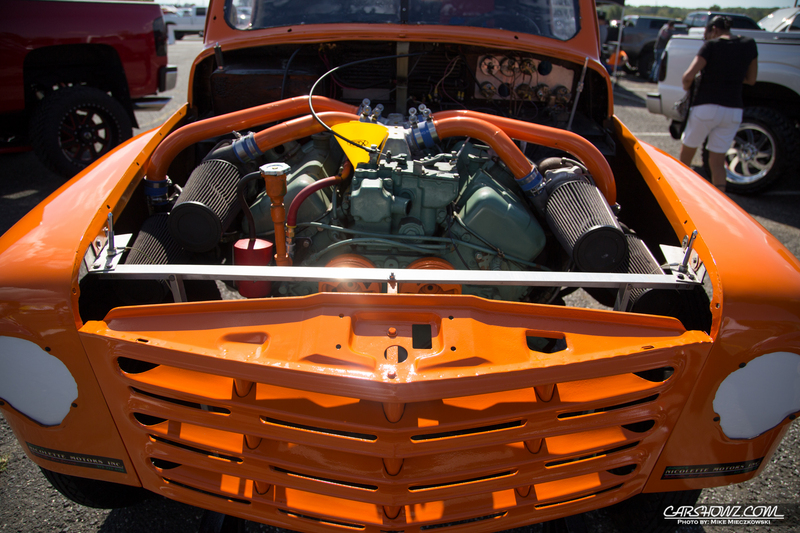 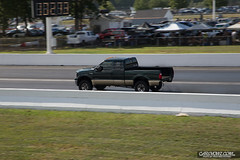 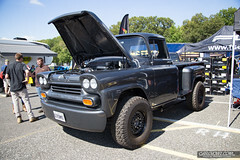 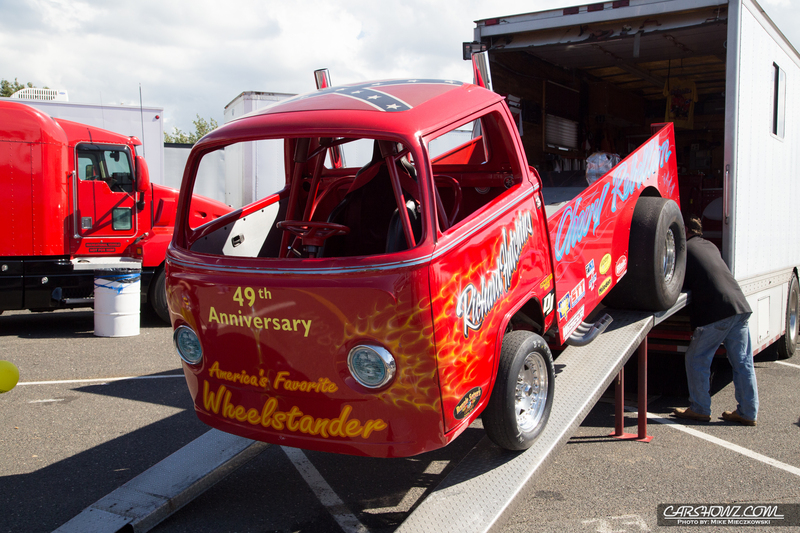 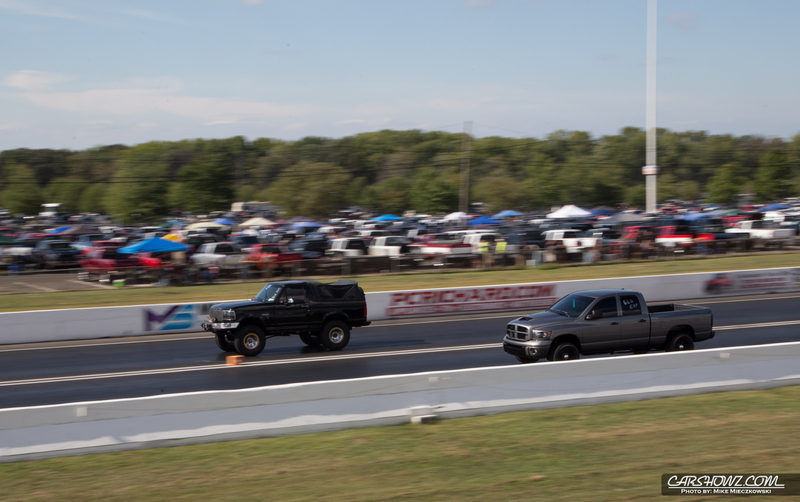 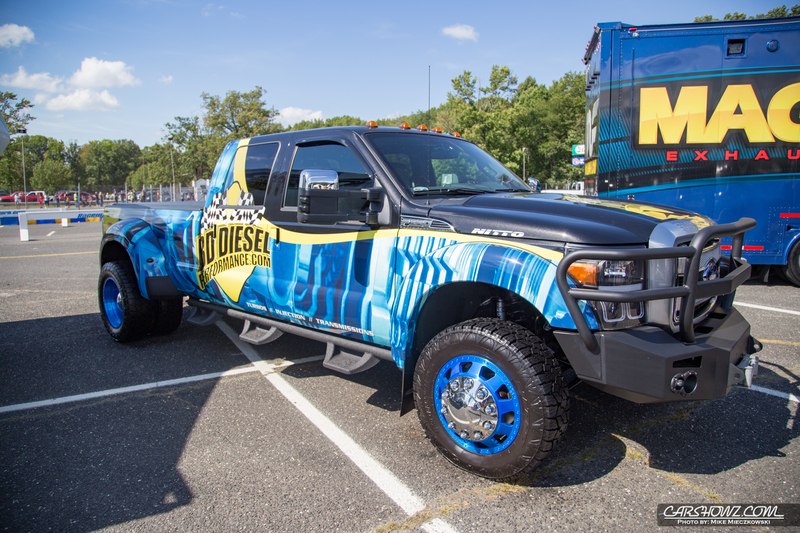 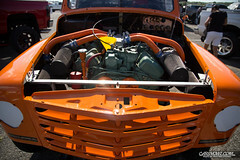 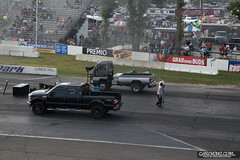 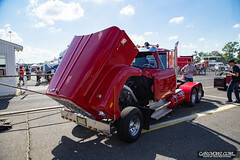 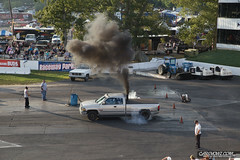 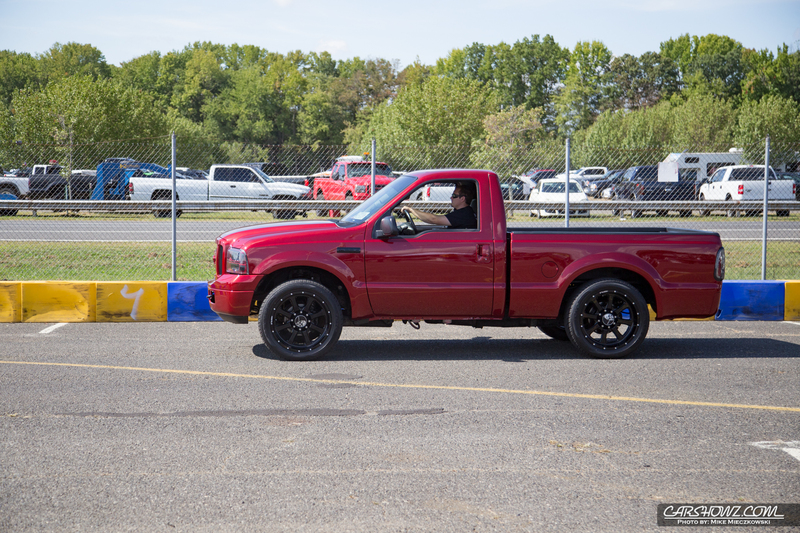 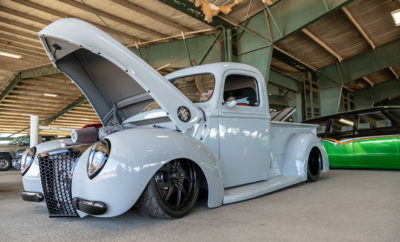 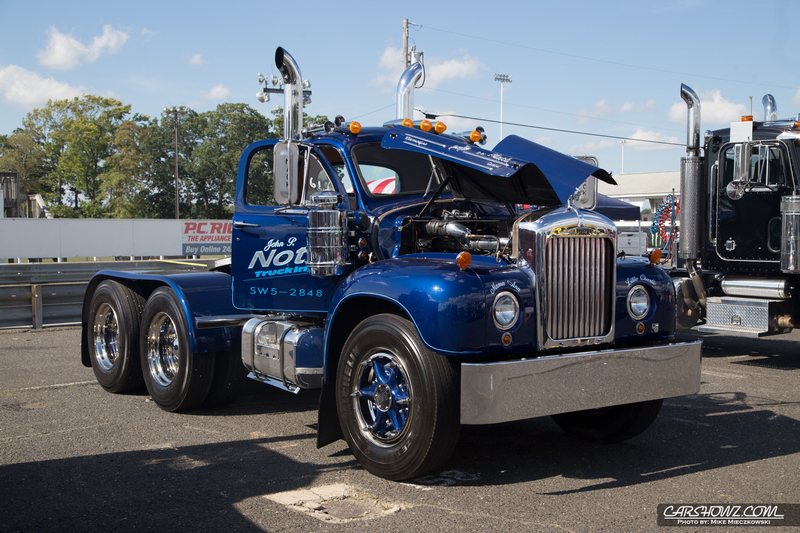 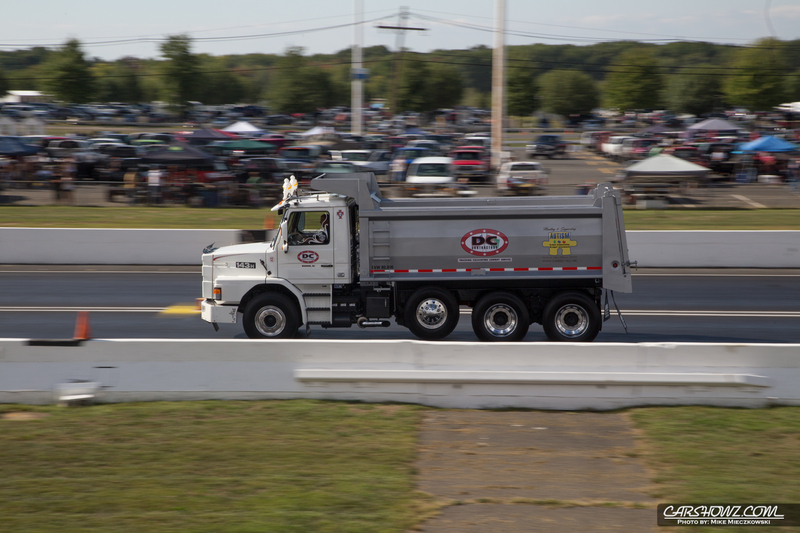 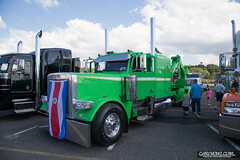 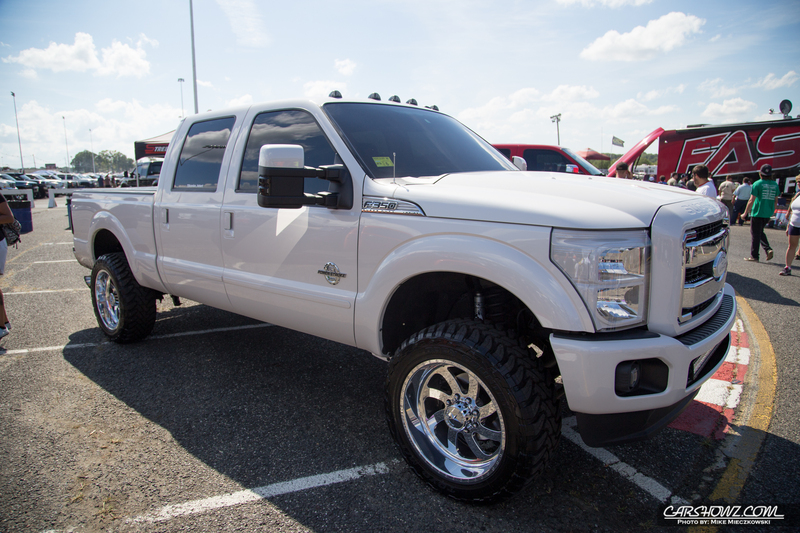 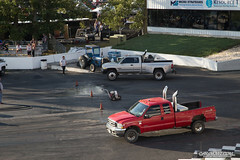 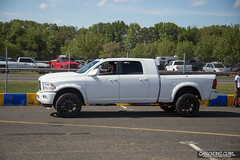 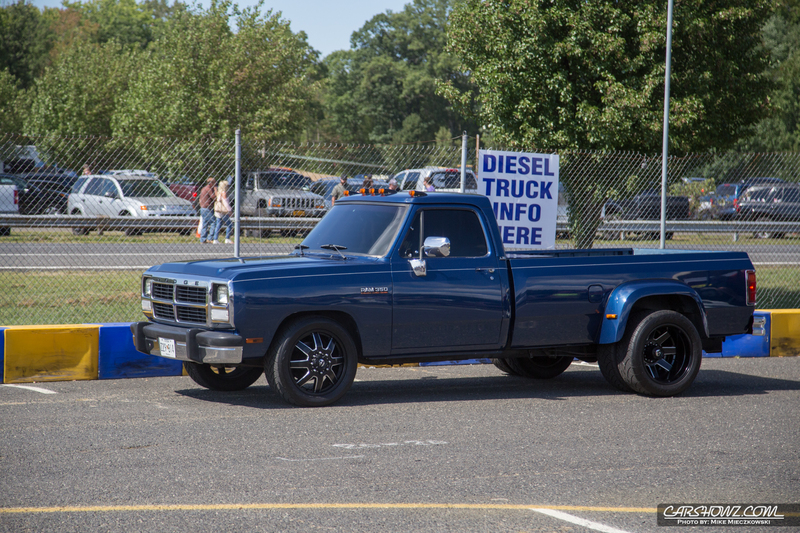 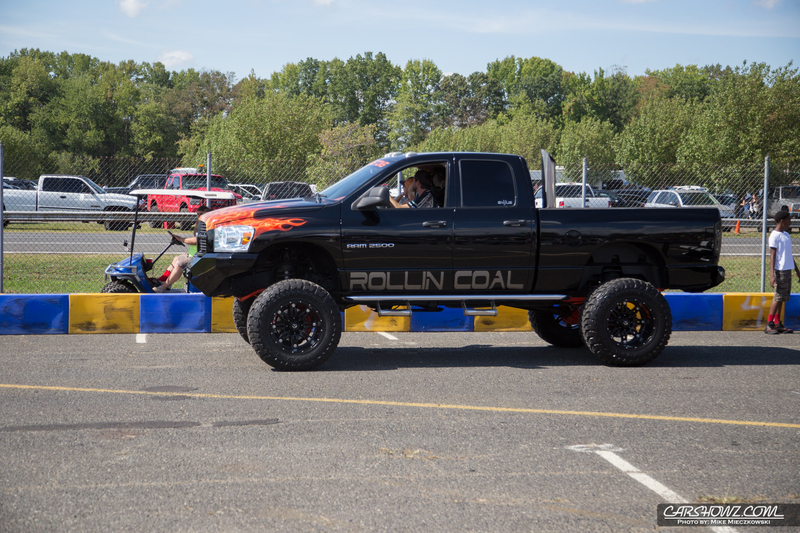 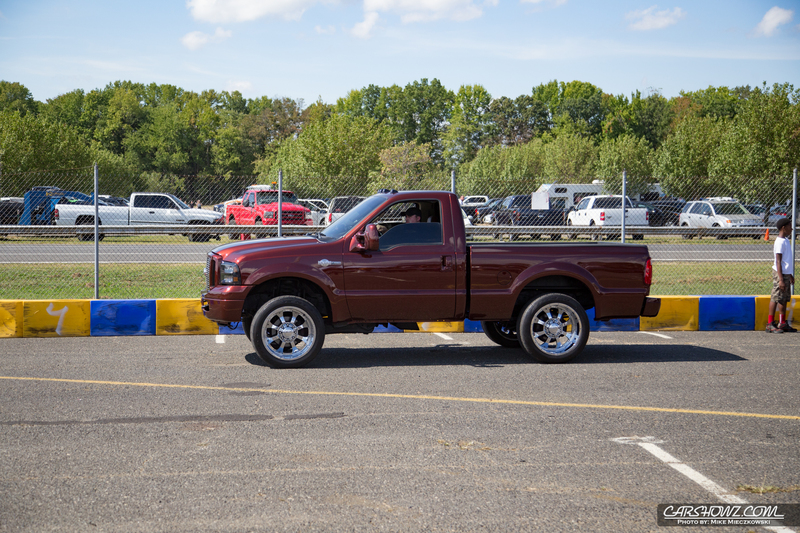 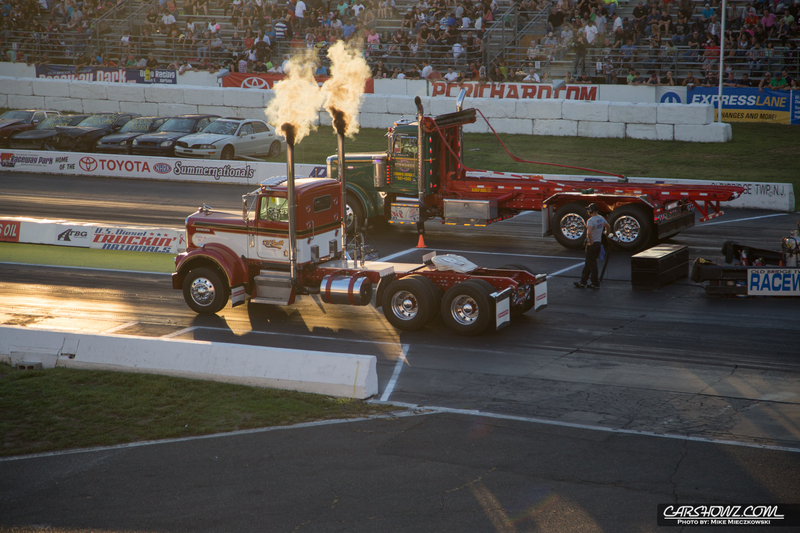 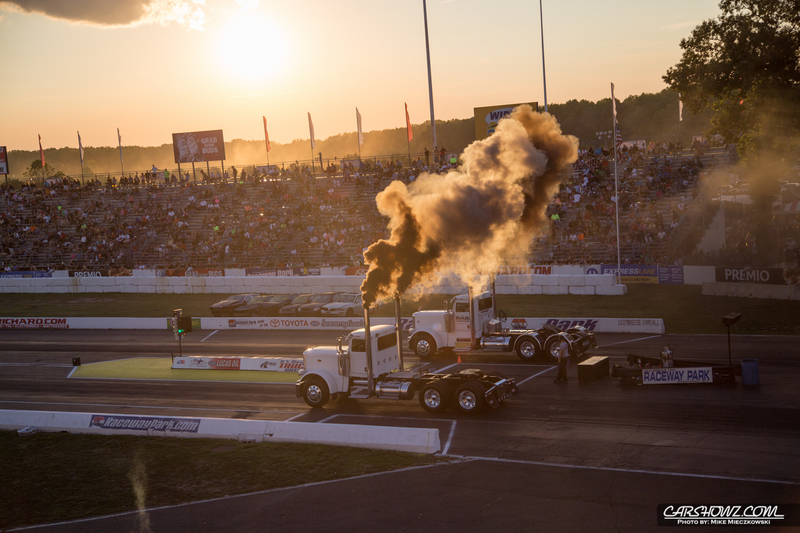 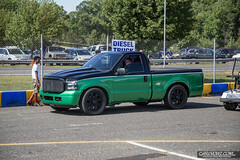 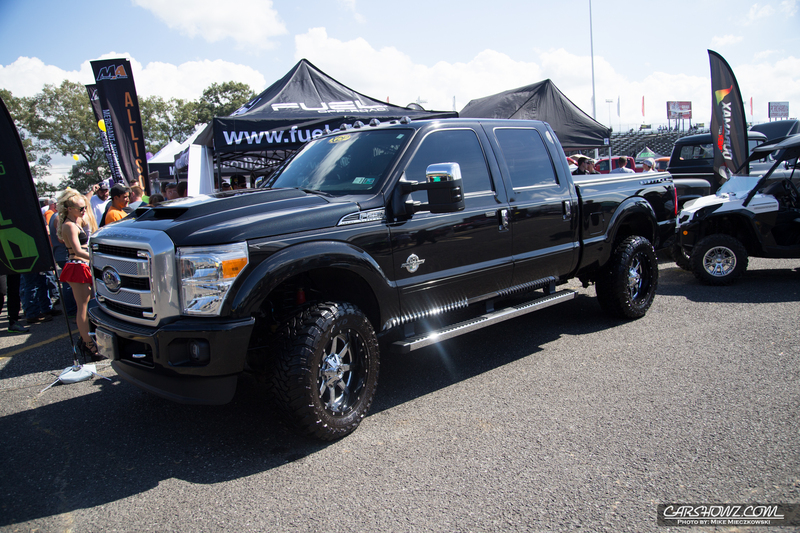 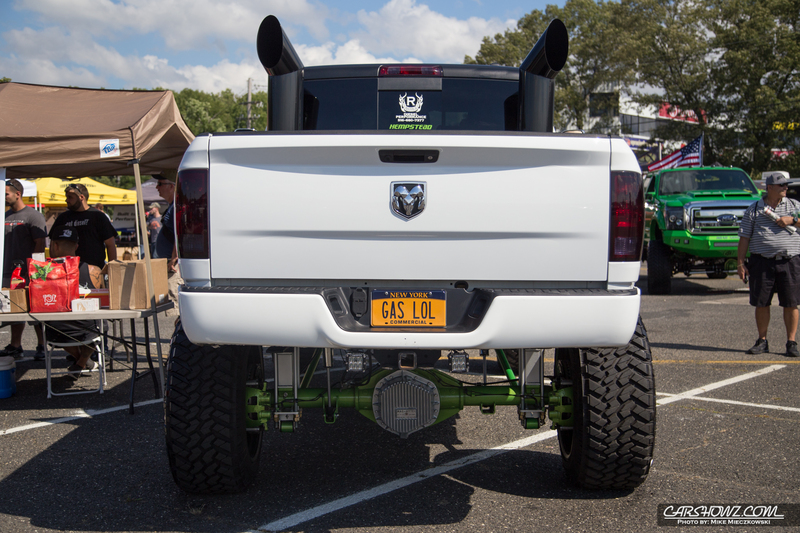 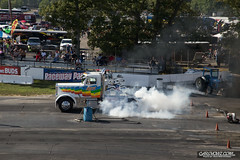 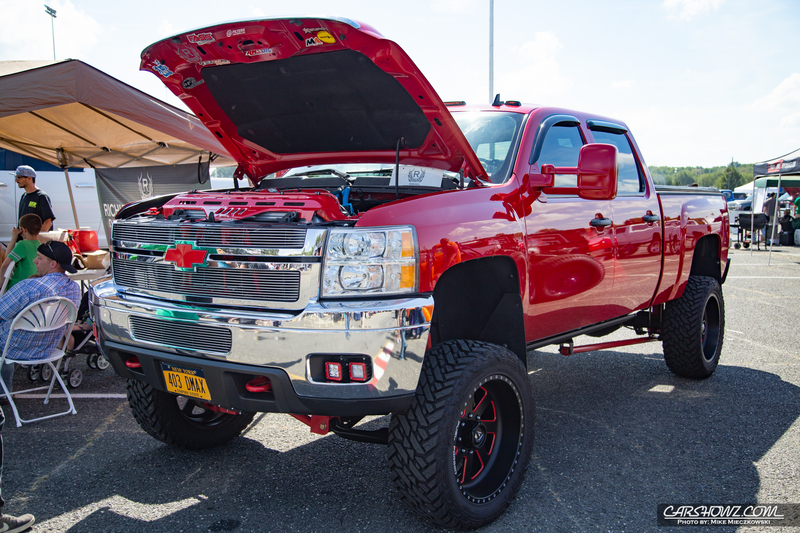 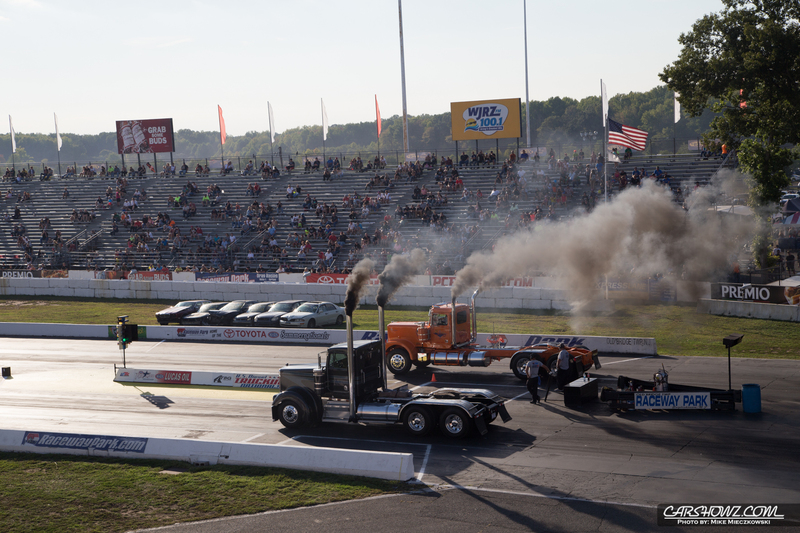 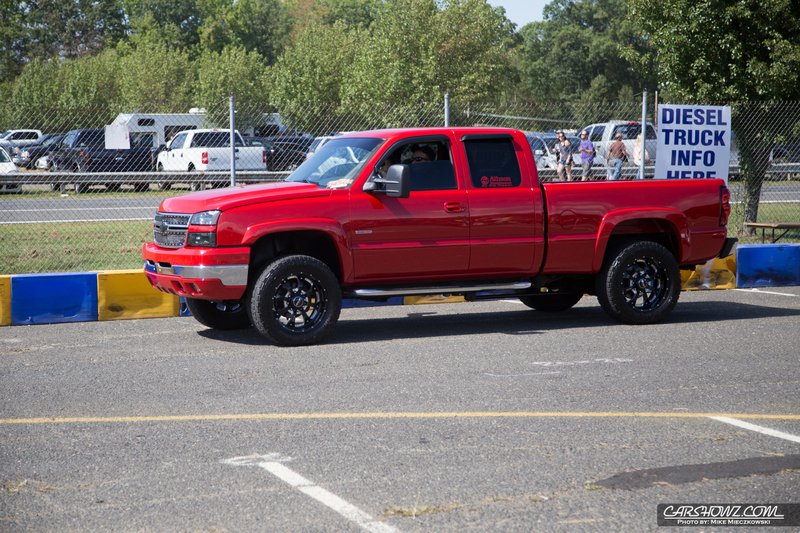 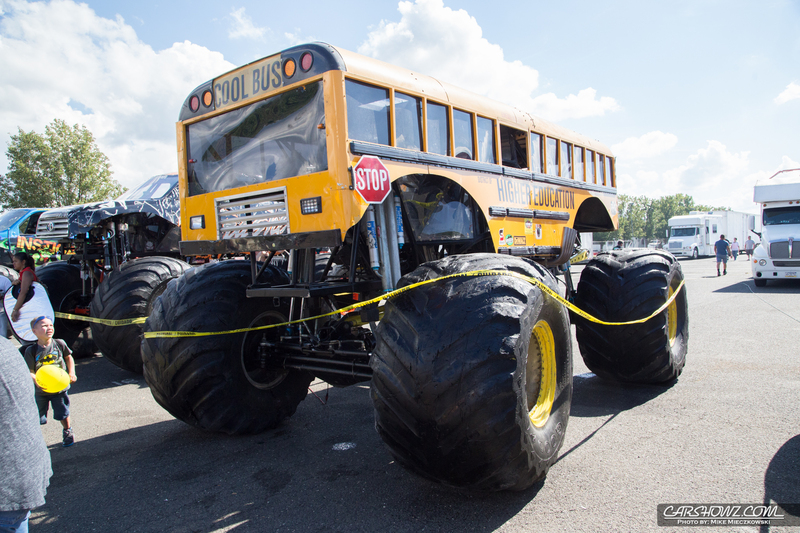 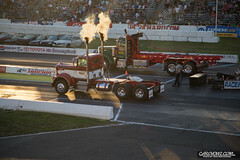 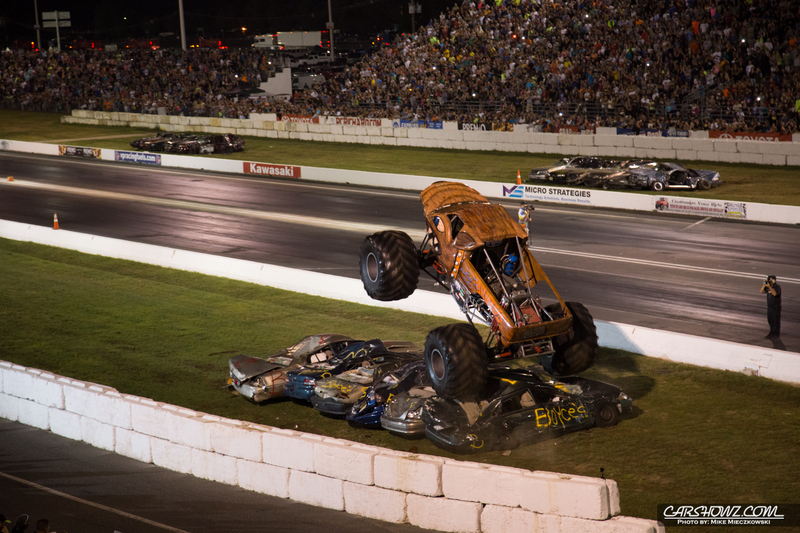 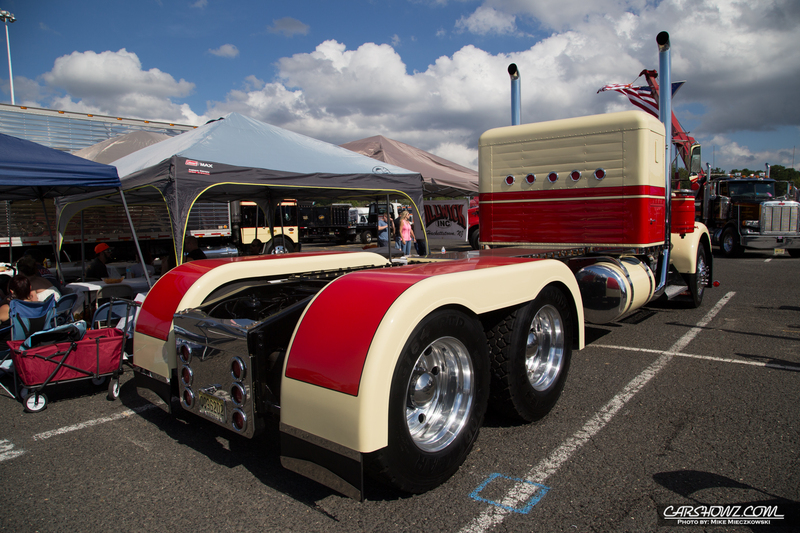 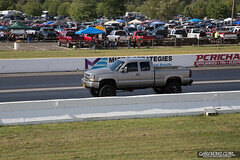 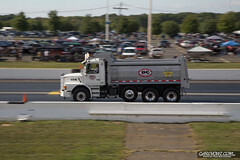 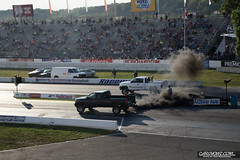 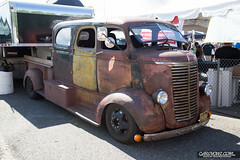 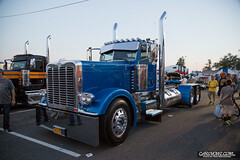 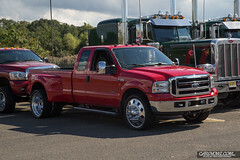 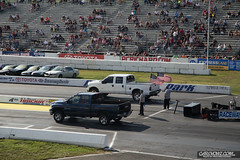 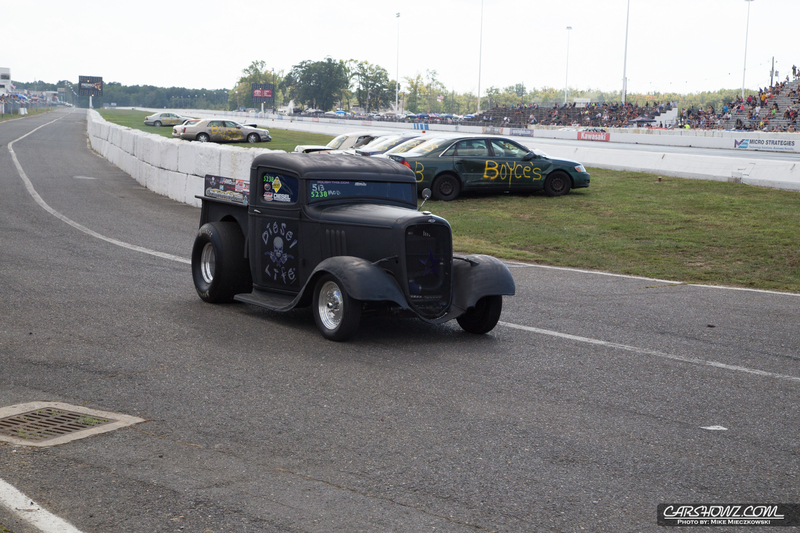 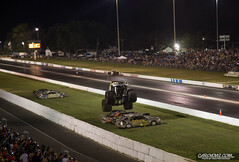 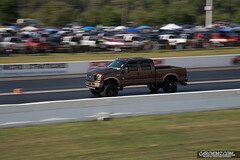 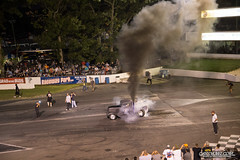 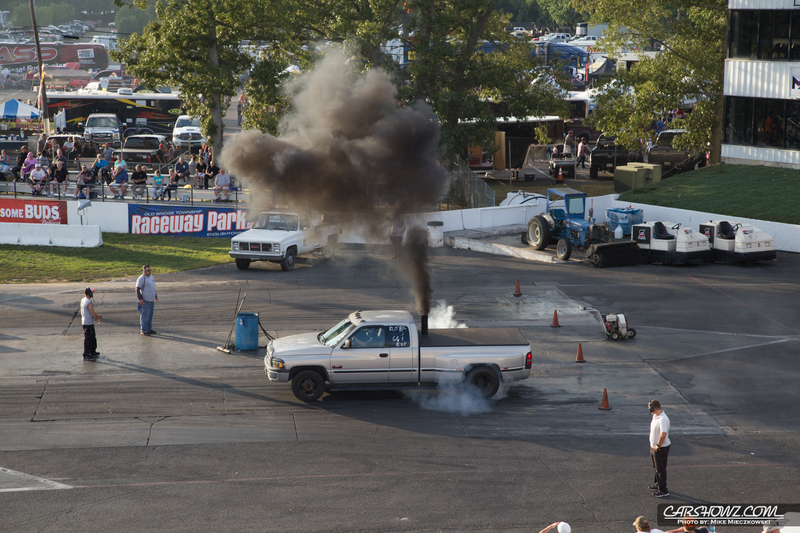 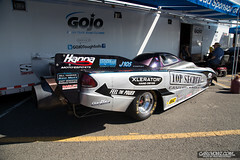 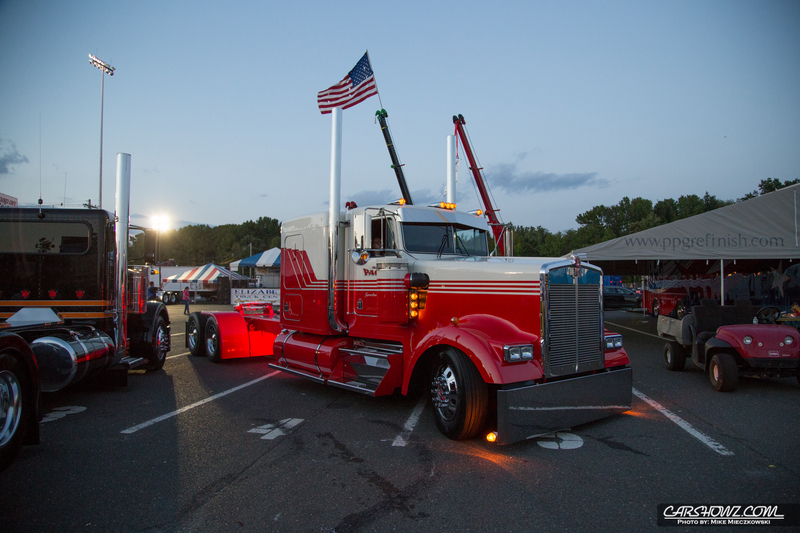 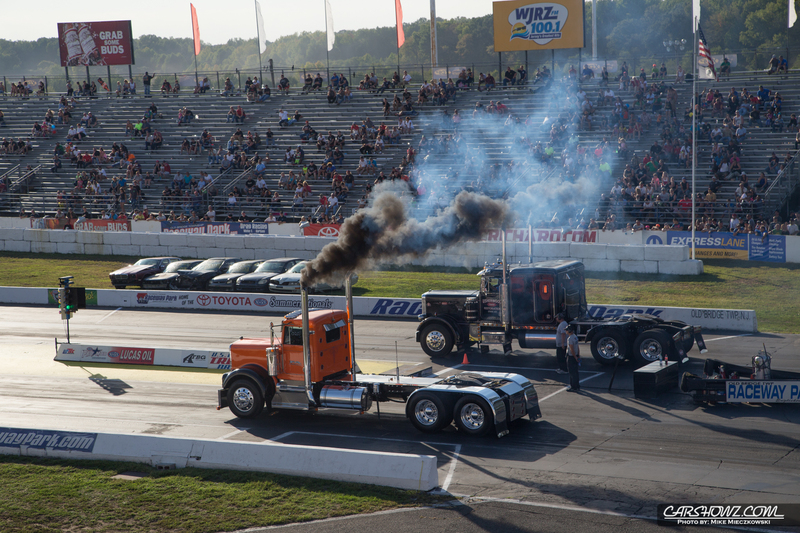 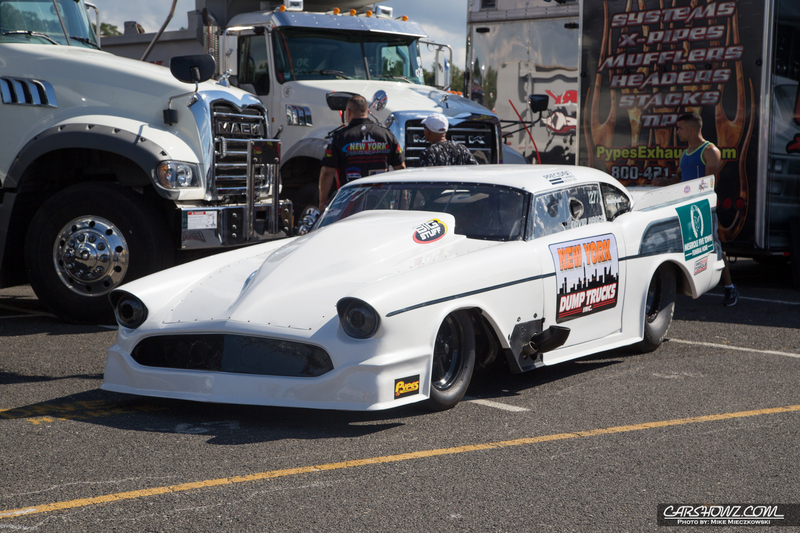 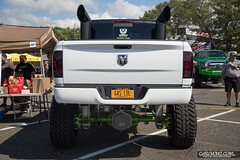 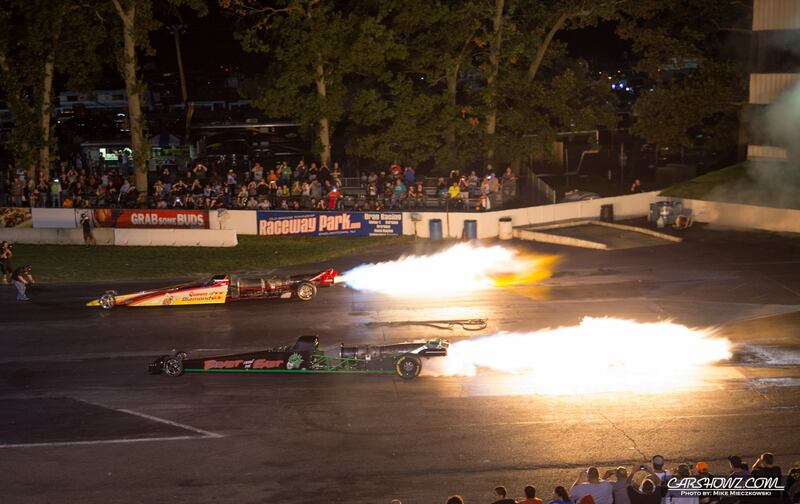 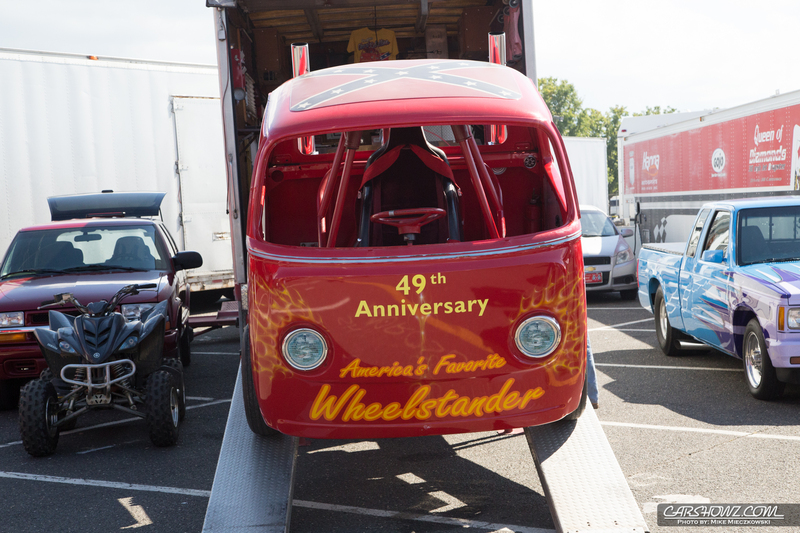 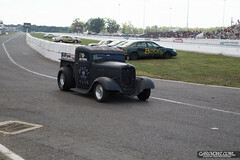 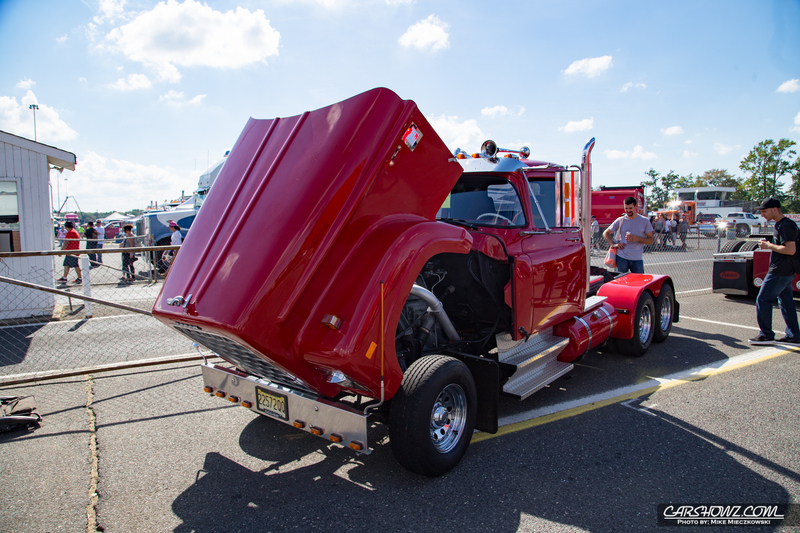 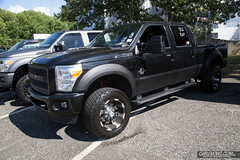 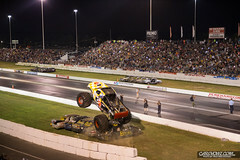 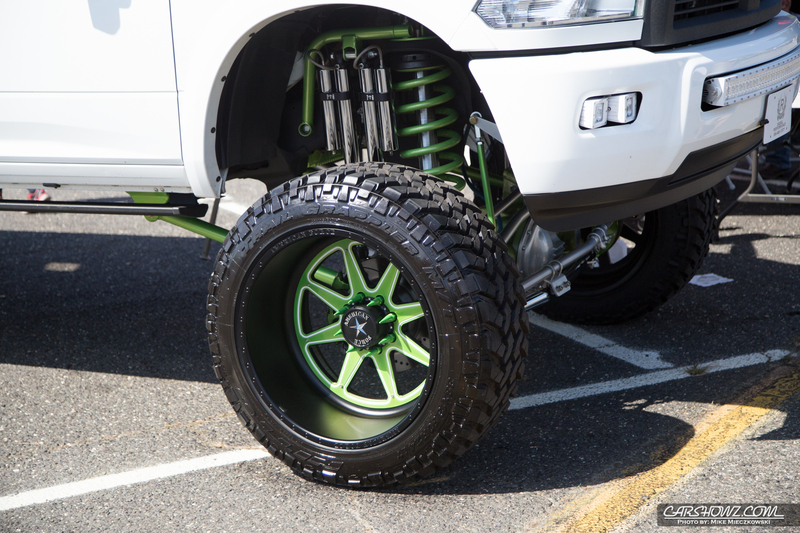 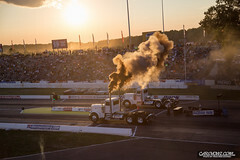 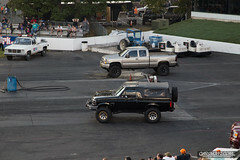 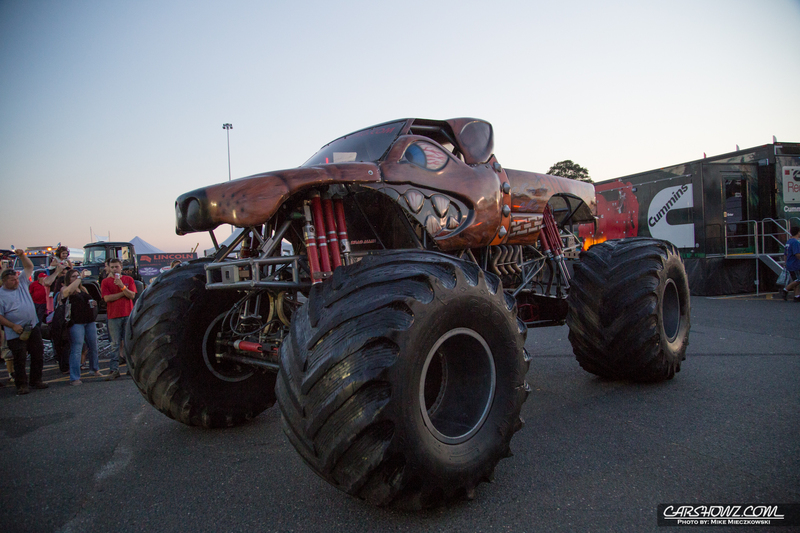 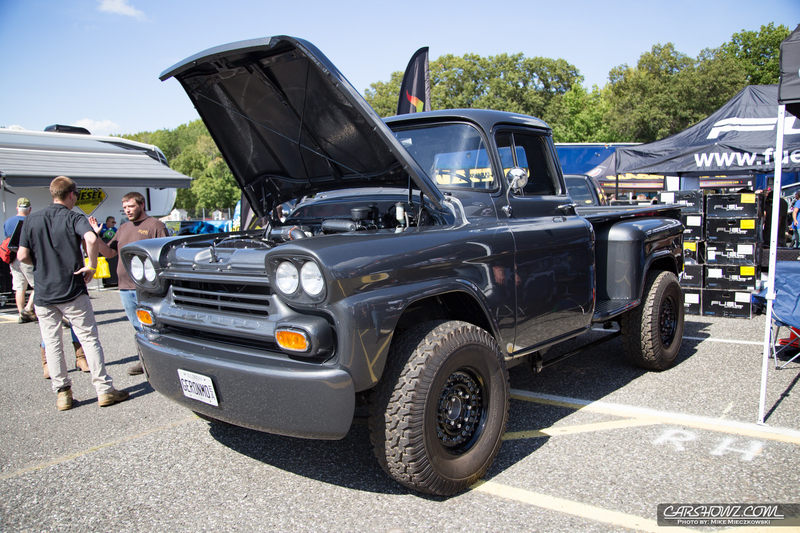 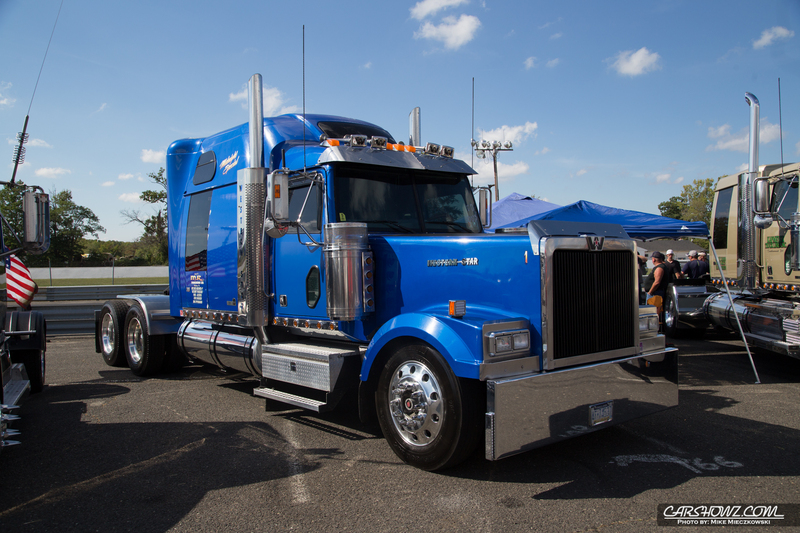 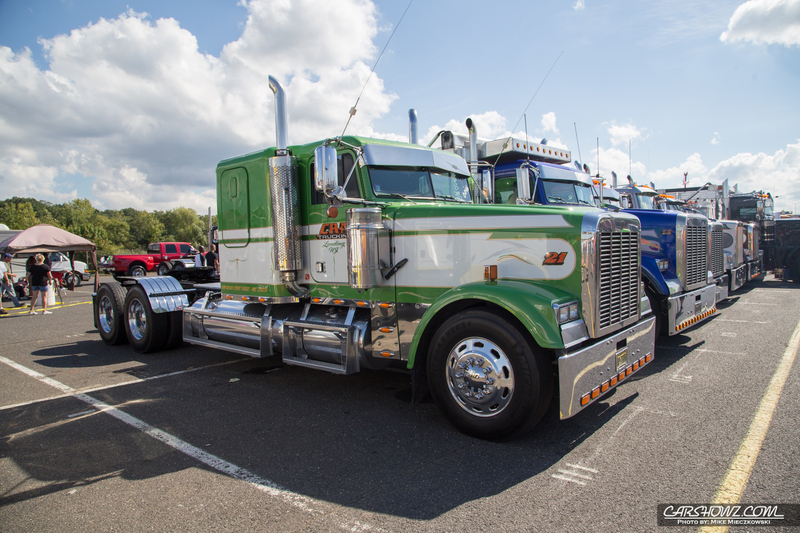 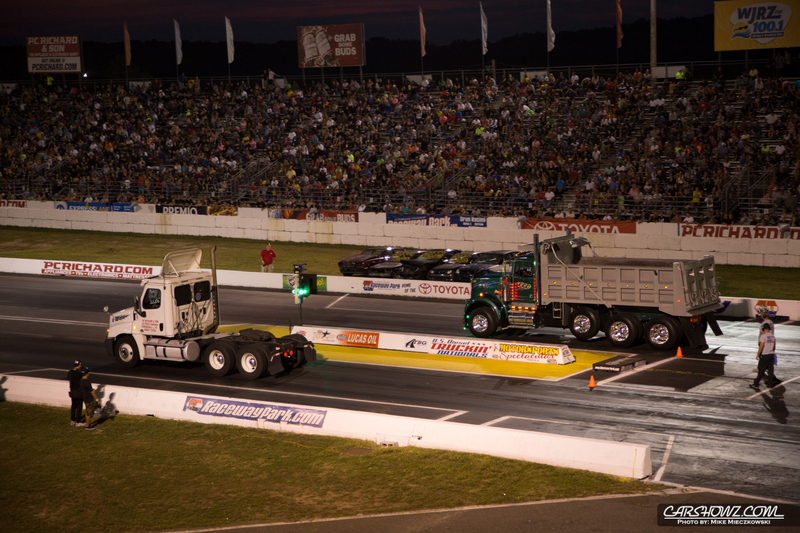 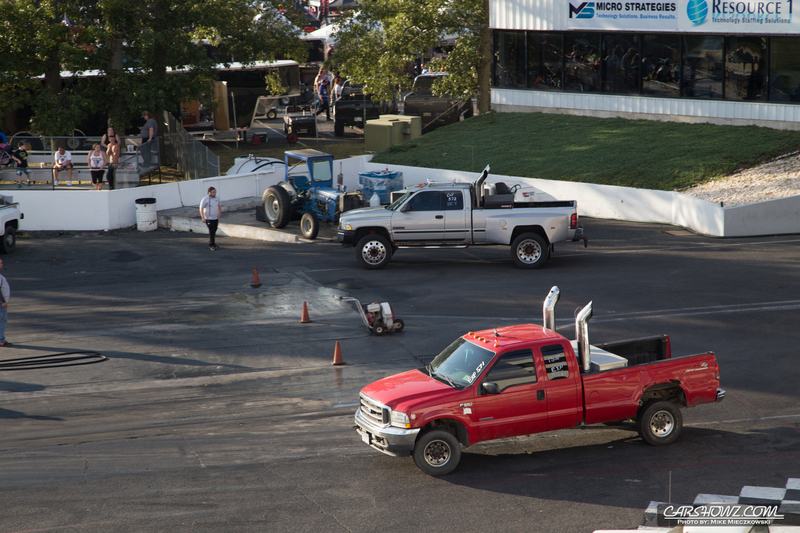 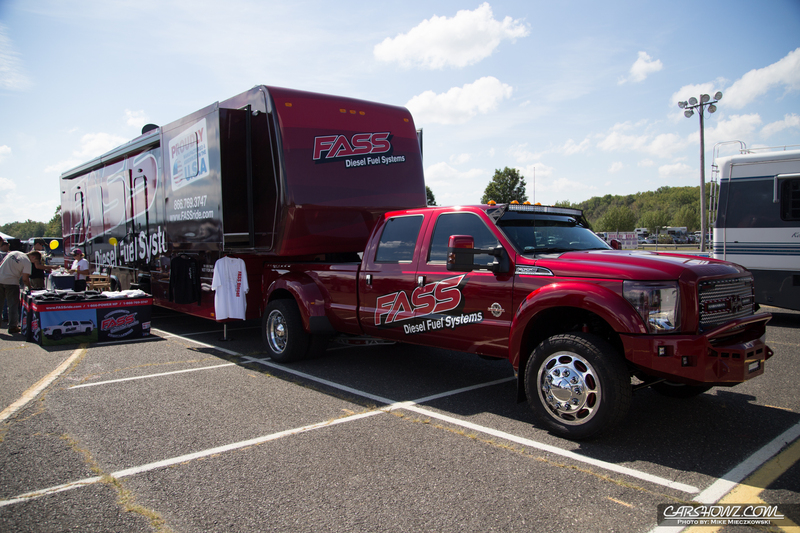 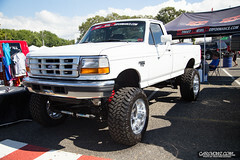 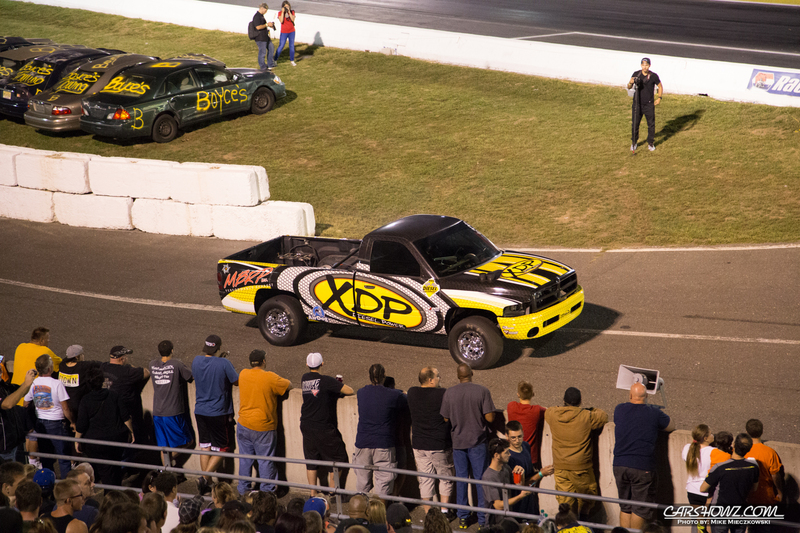 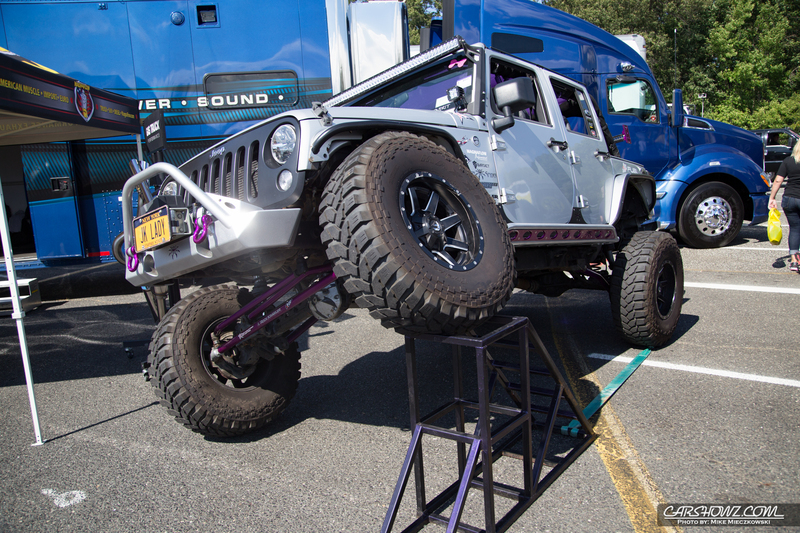 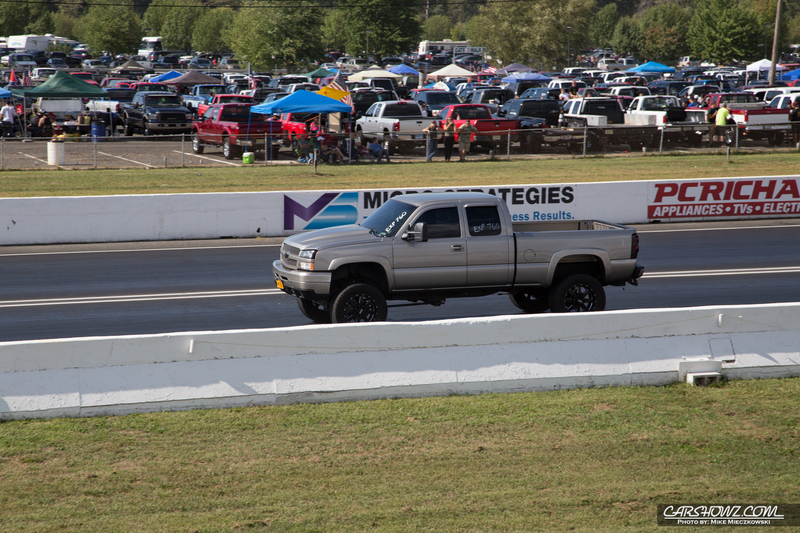 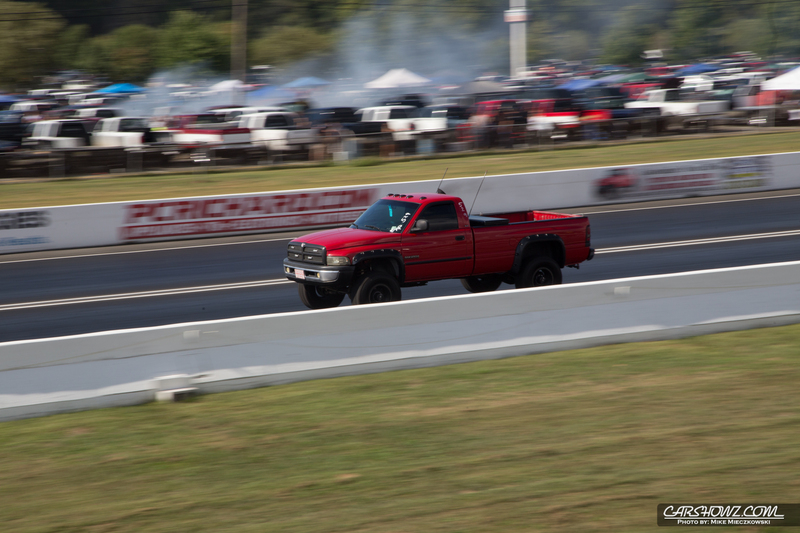 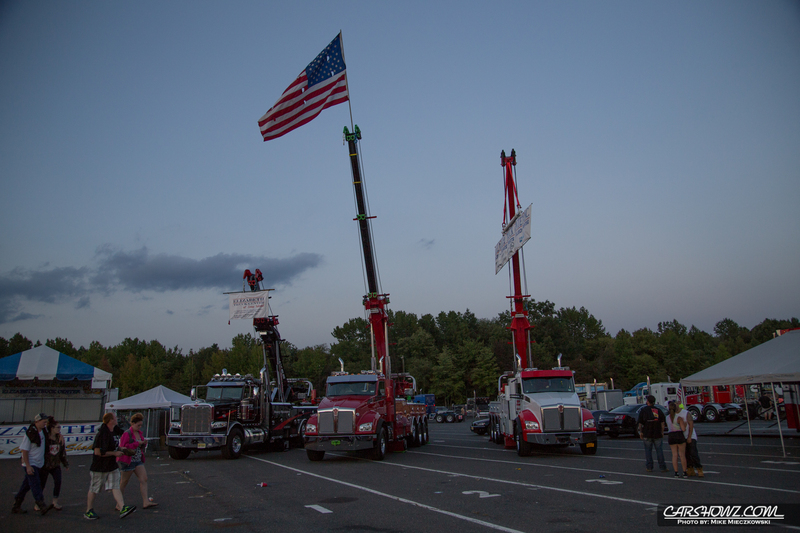 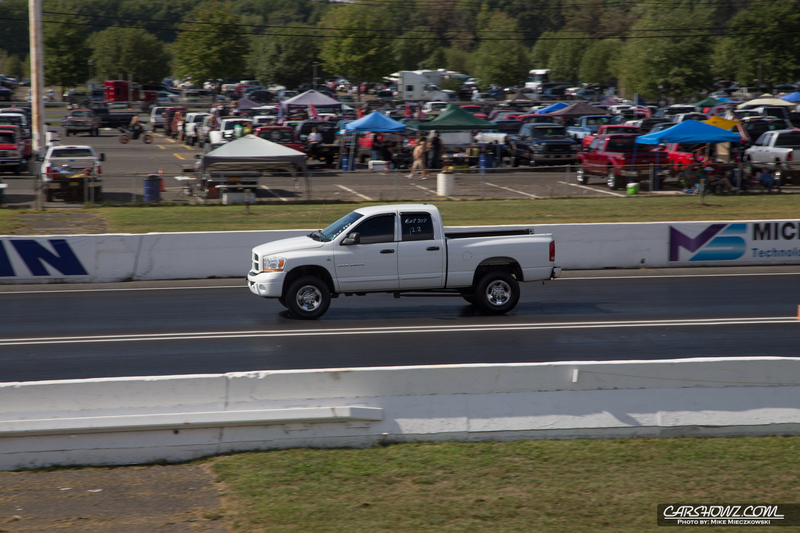 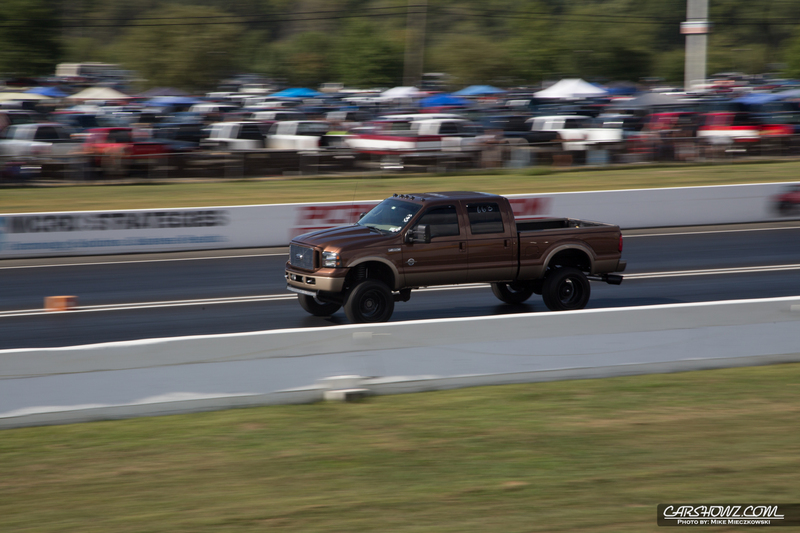 The 39th Annual U.S. Diesel Truckin’ Nationals & Motorsports Spectacular was held at the very spacious grounds of Englishtown’s Raceway Park. 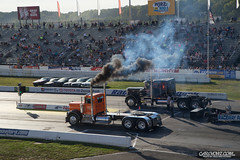 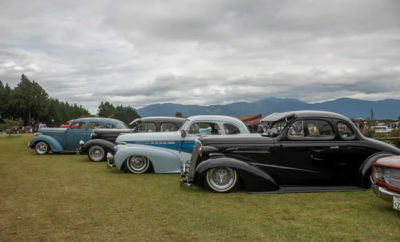 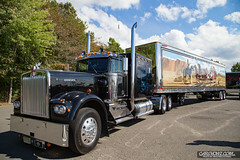 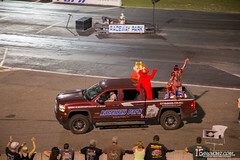 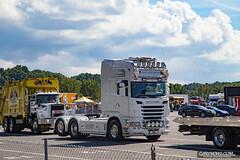 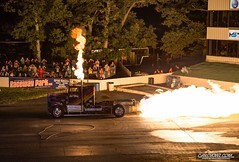 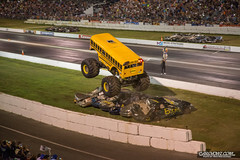 The day started at 9am with Big Rig and Diesel Truck racing and ended around 10pm with the Motorsports Spectacular Show. 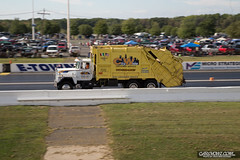 It was definitely a long day at the track but it was also jammed packed with activity. 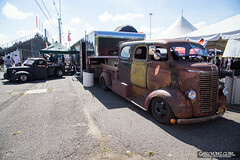 On one side of the track you could find the Vendor section loaded with items for sale and trucks showing off the products being offered. 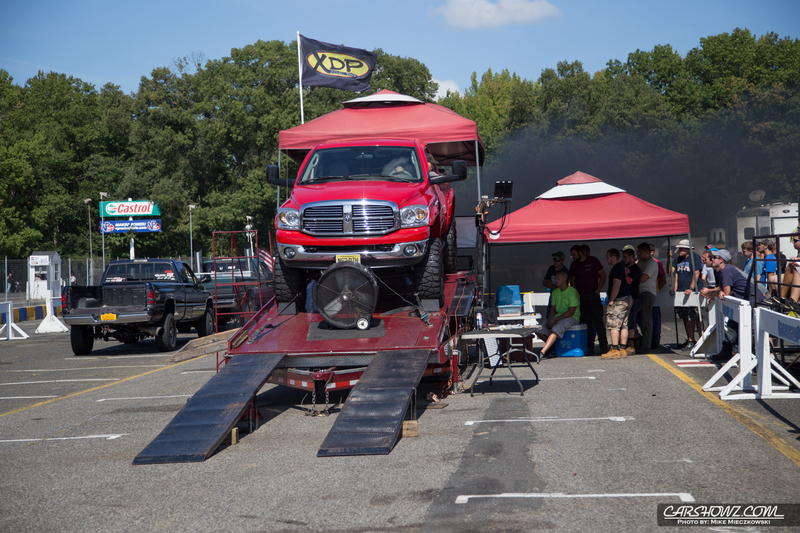 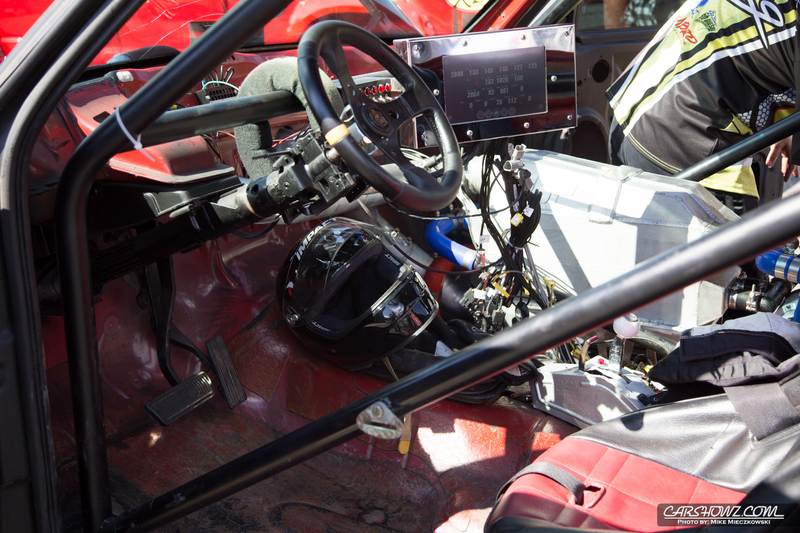 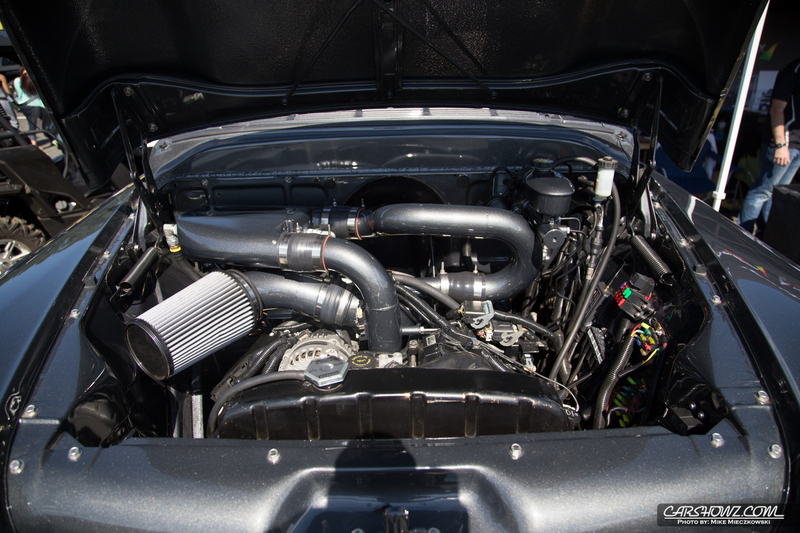 There was also a Dyno on hand the see who could put down the most power and a show field for diesel pickups. 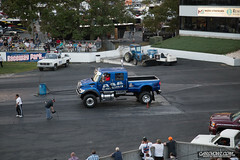 That was a large enough area to keep spectators occupied for hours but it wasn’t the only show to see. 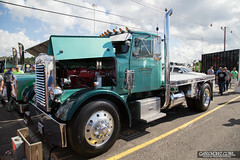 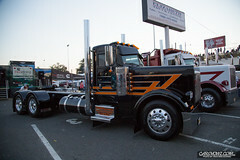 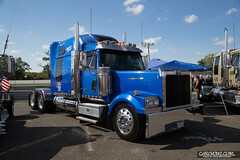 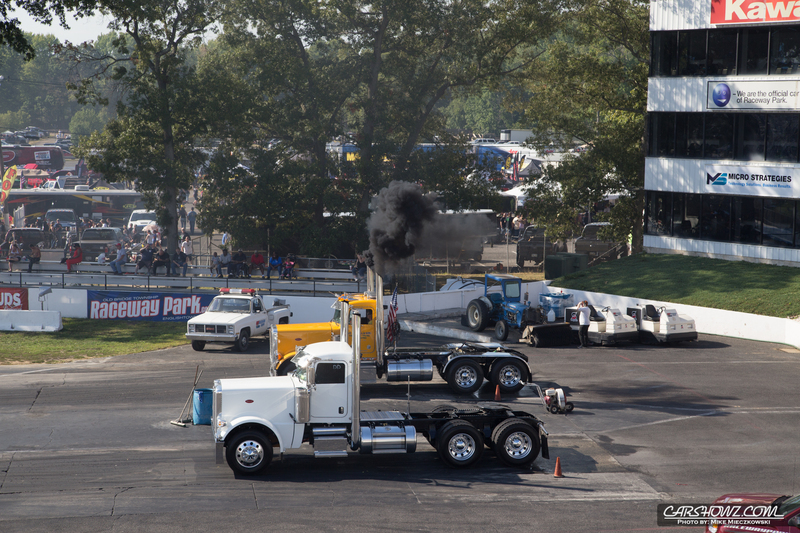 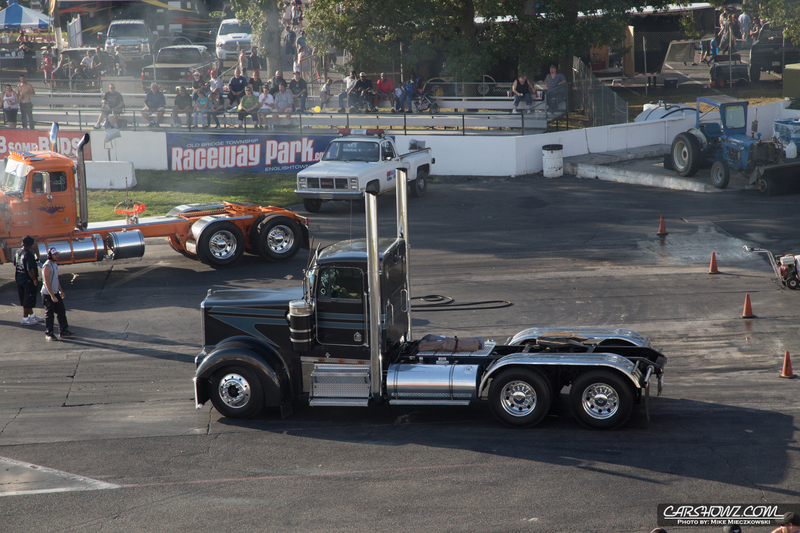 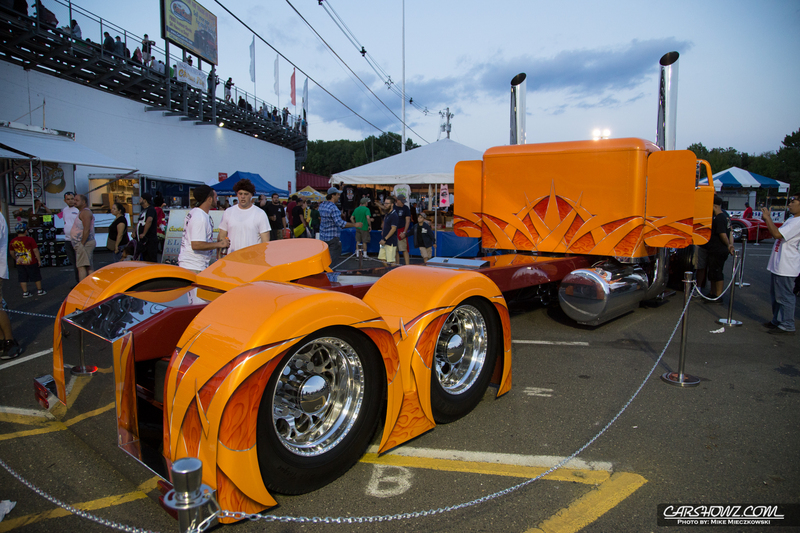 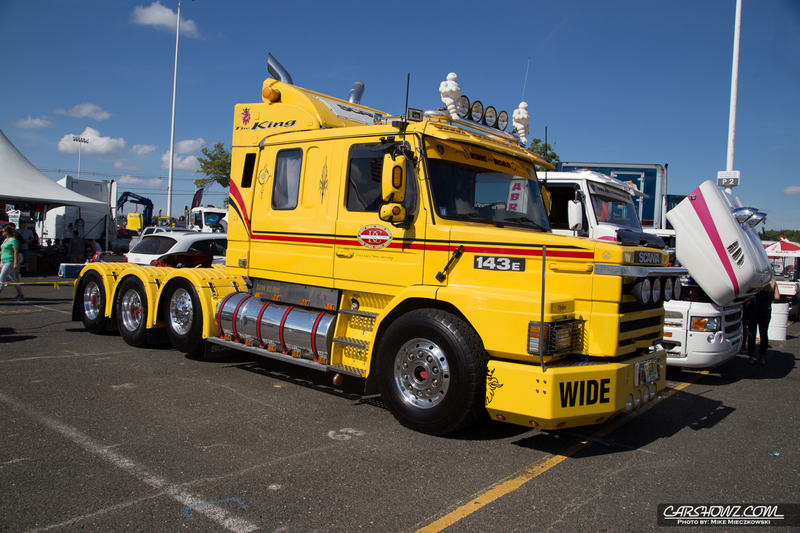 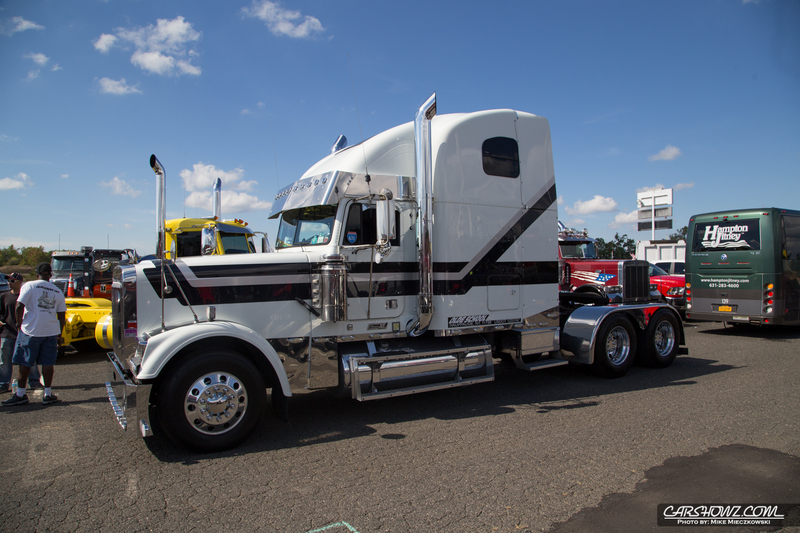 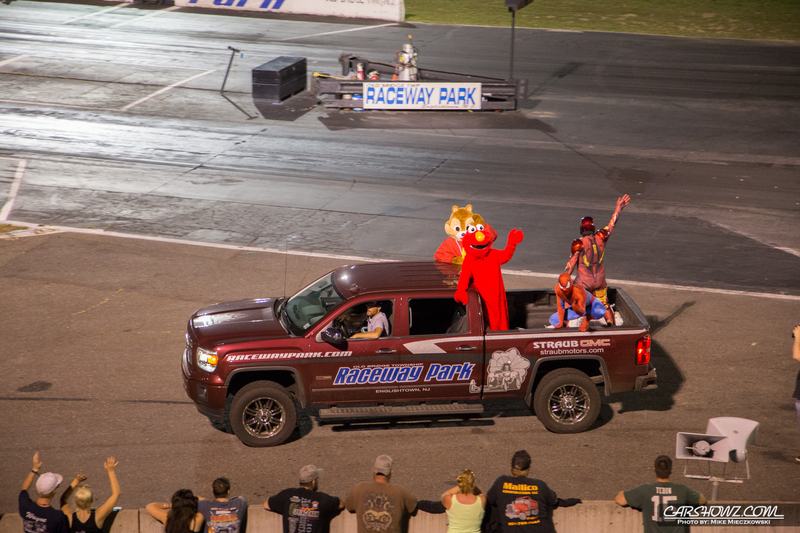 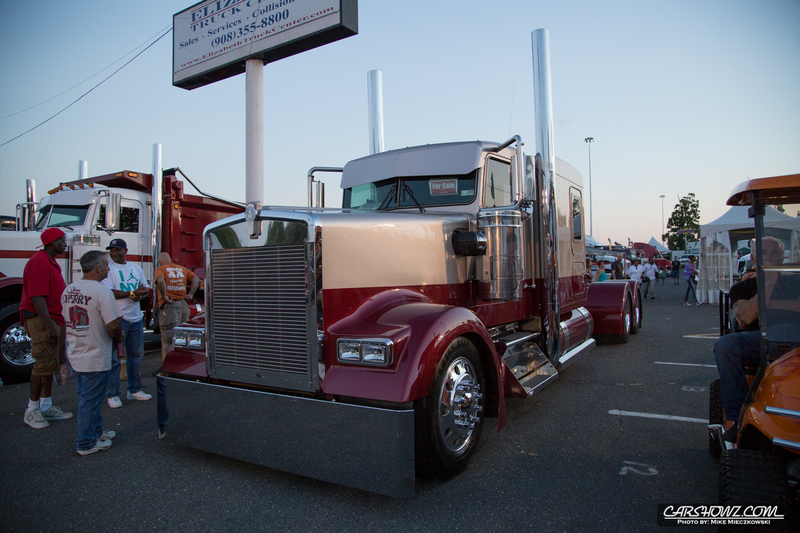 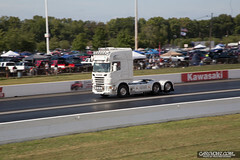 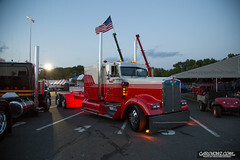 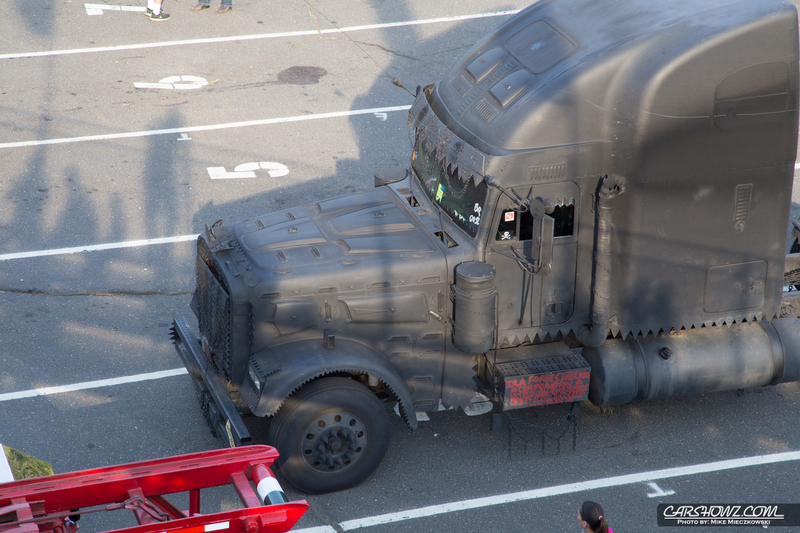 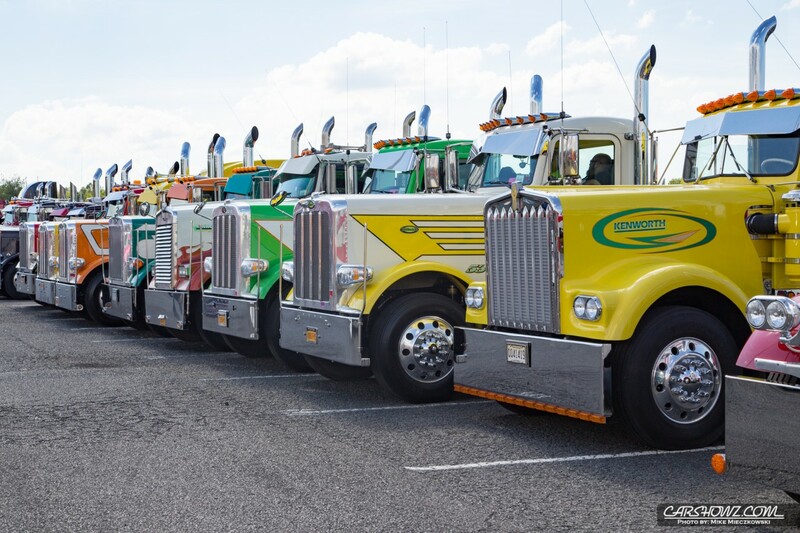 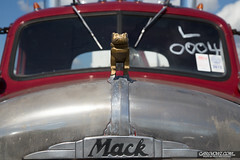 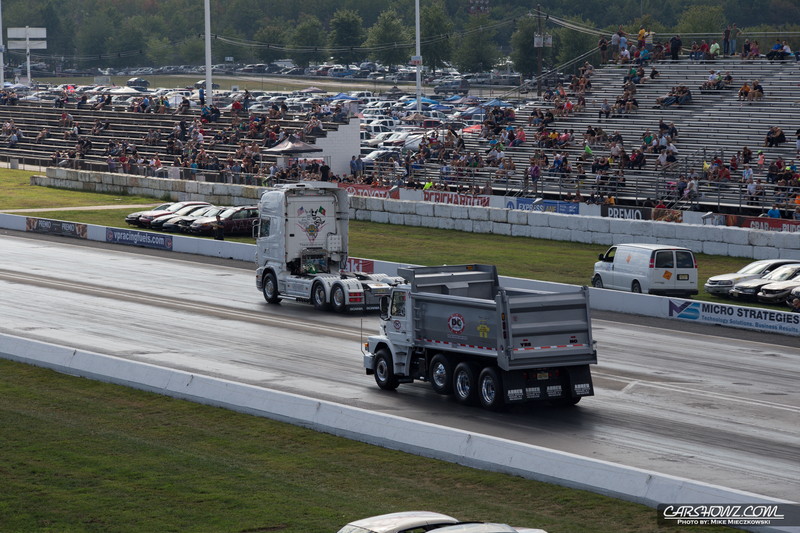 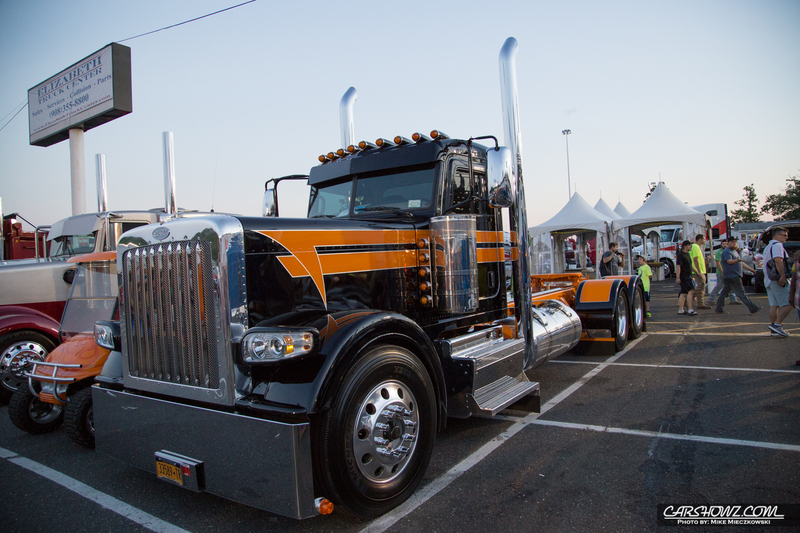 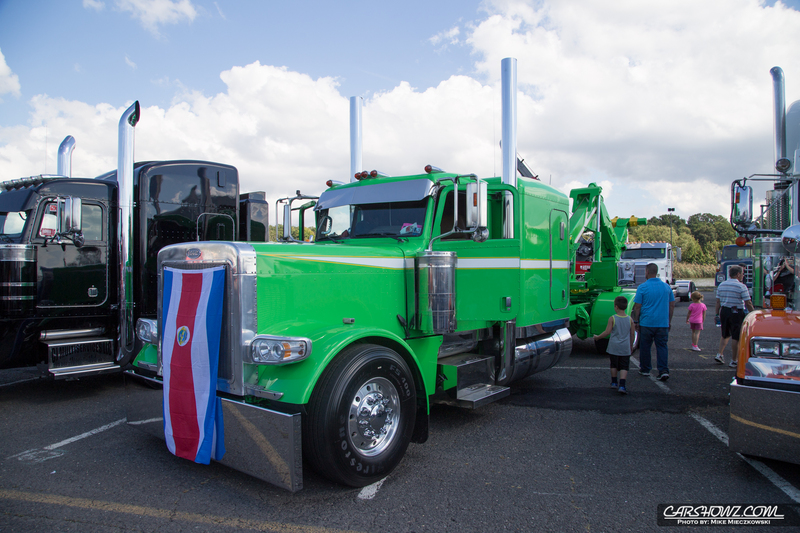 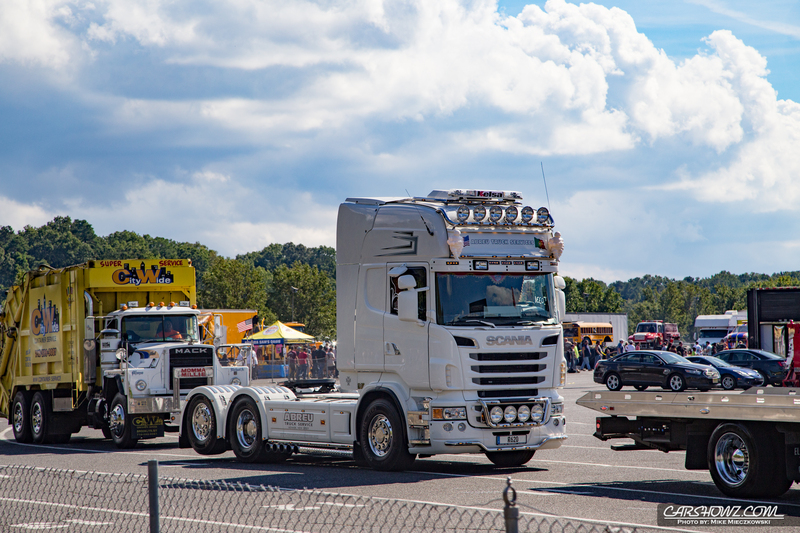 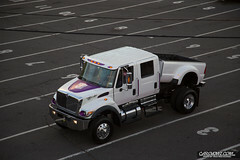 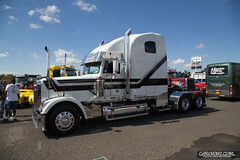 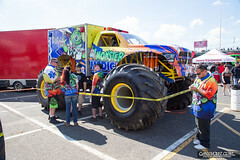 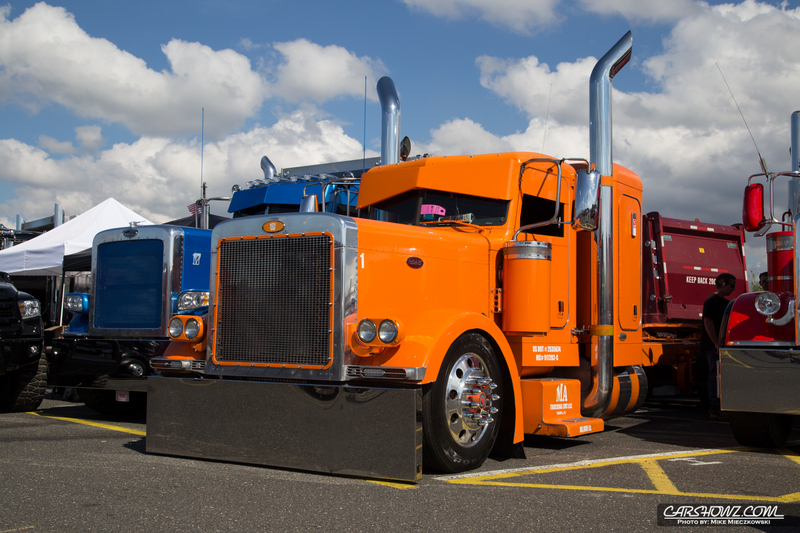 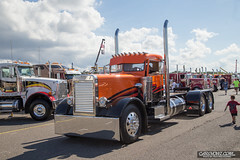 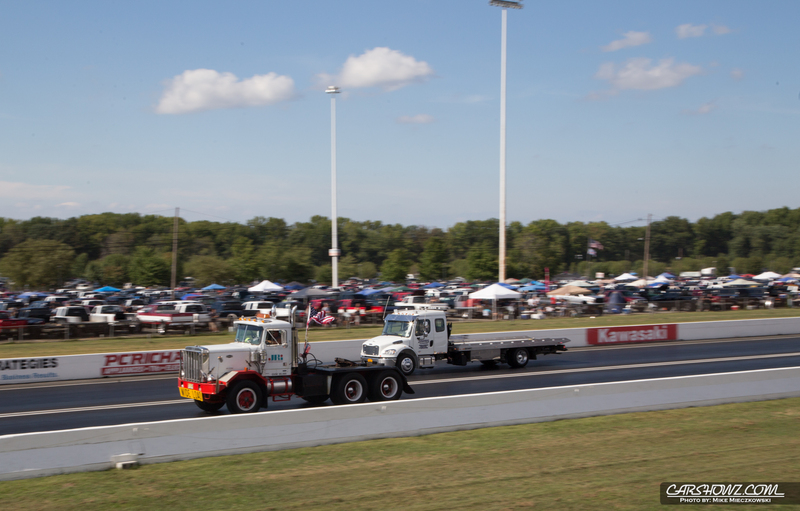 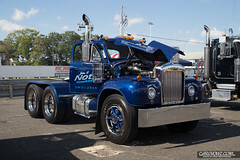 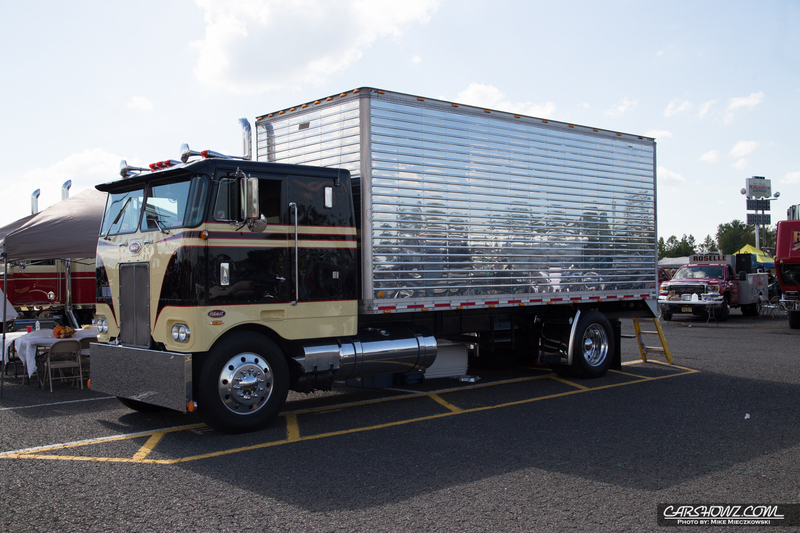 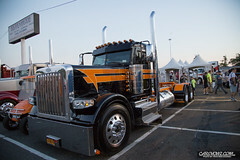 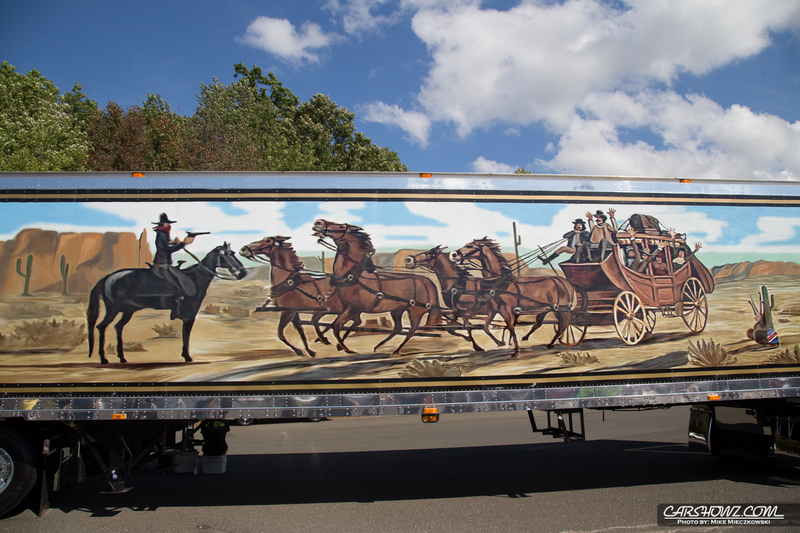 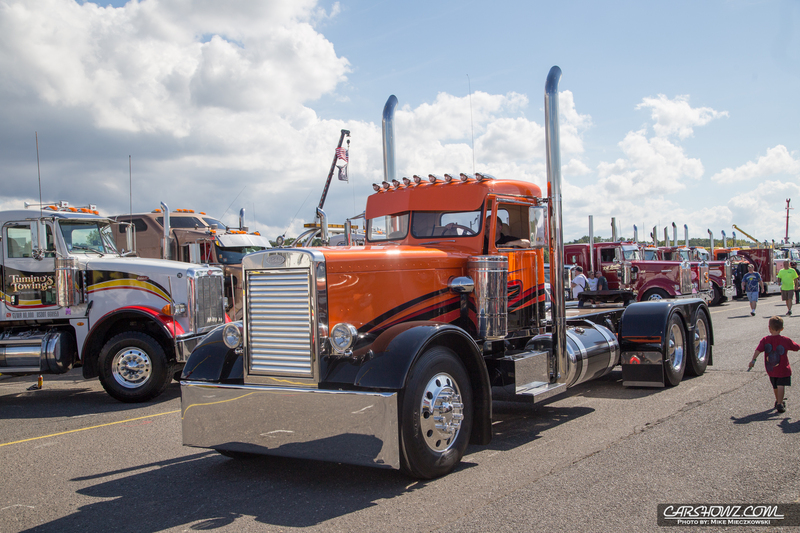 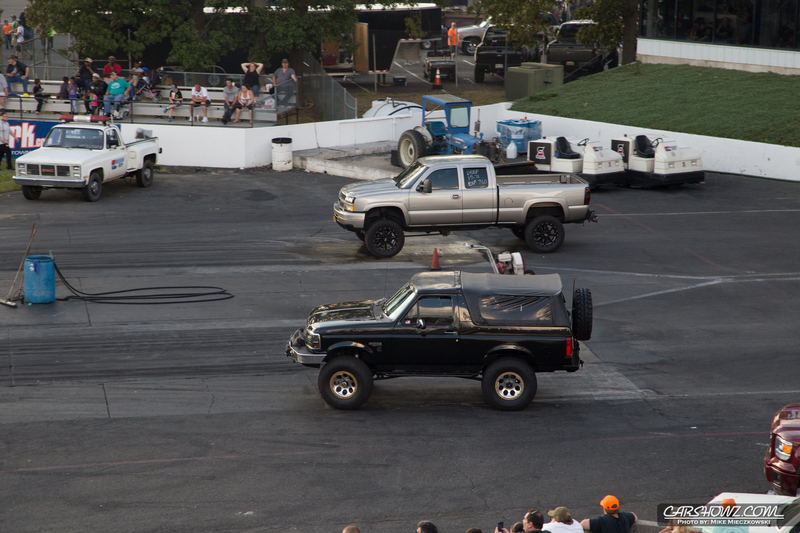 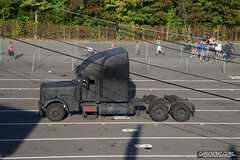 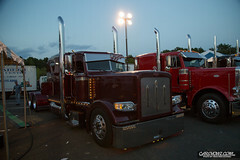 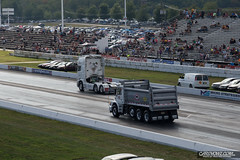 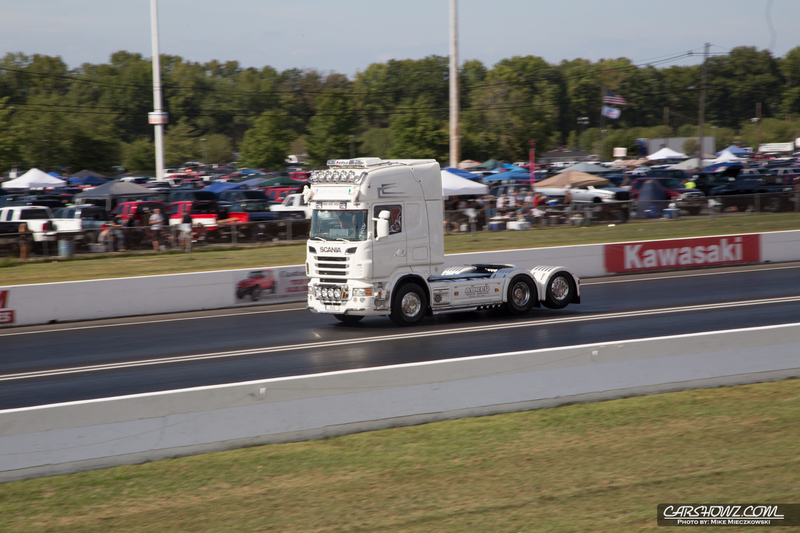 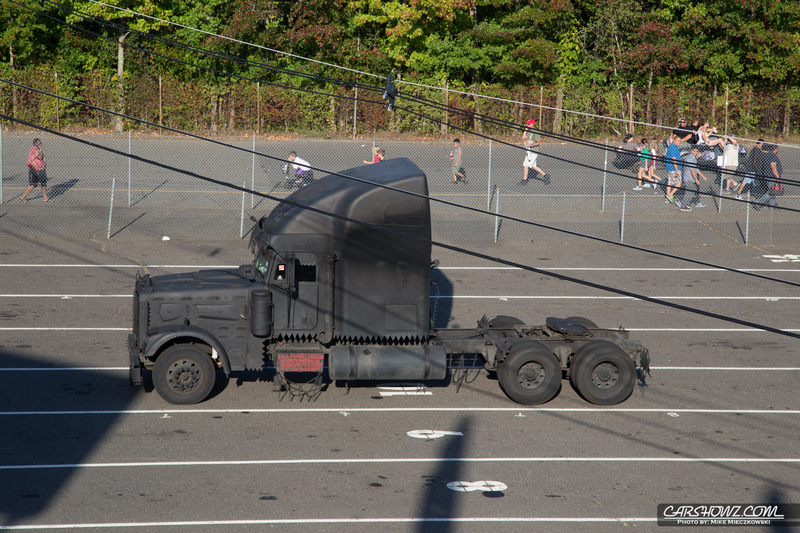 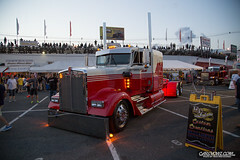 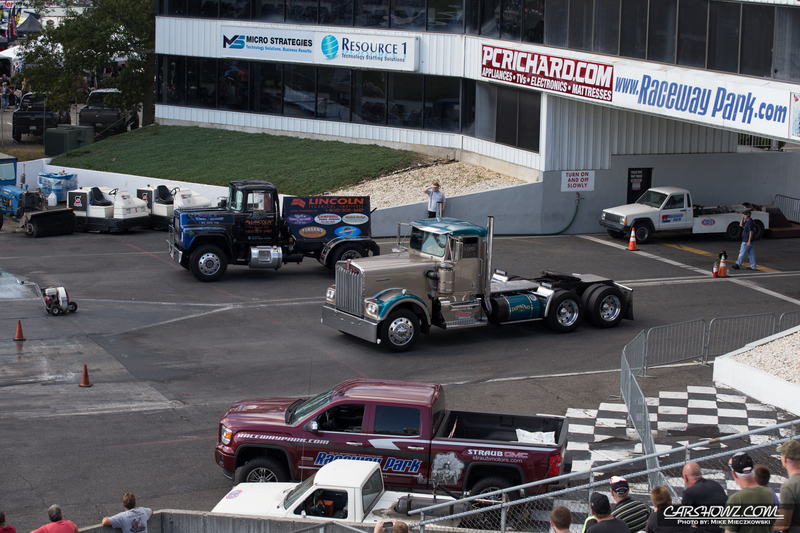 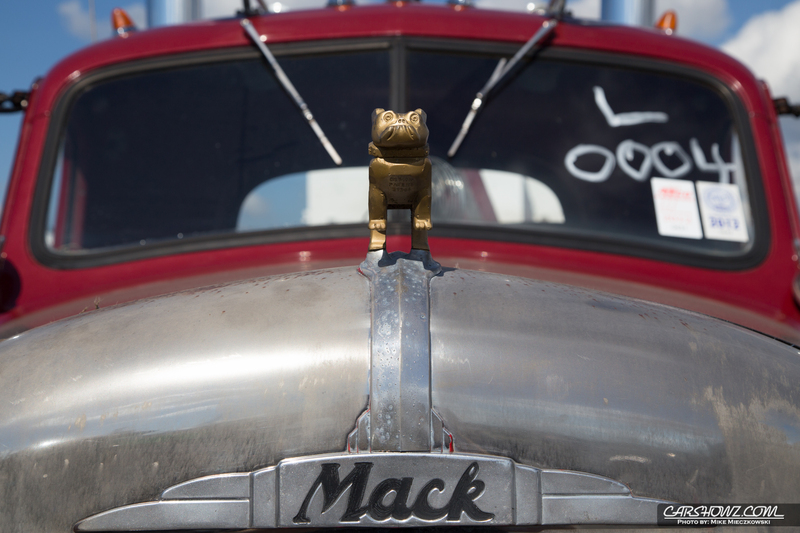 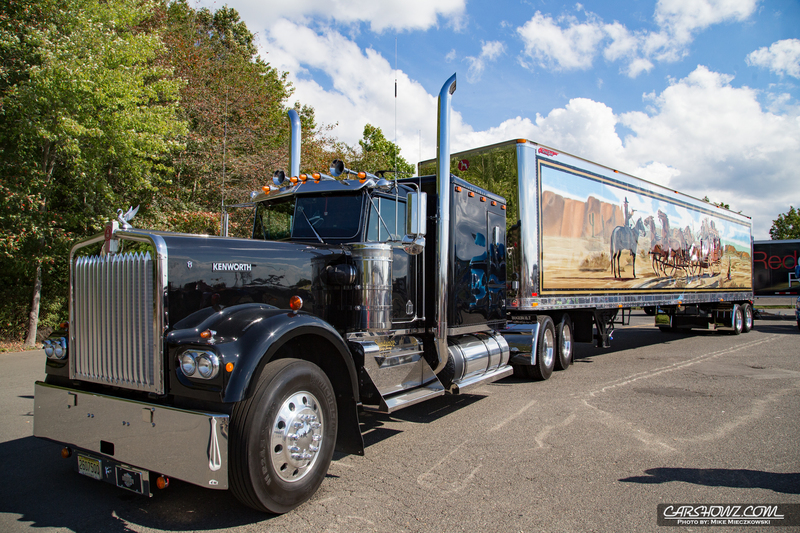 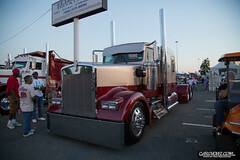 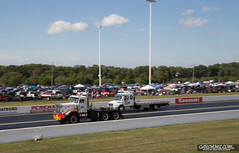 On the other side of the track at the Diesel Truckin’ Nationals you could find the Big Rig Show and race vehicles. 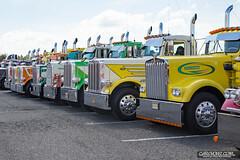 Never before have I seen so many shined up big rigs in one location. 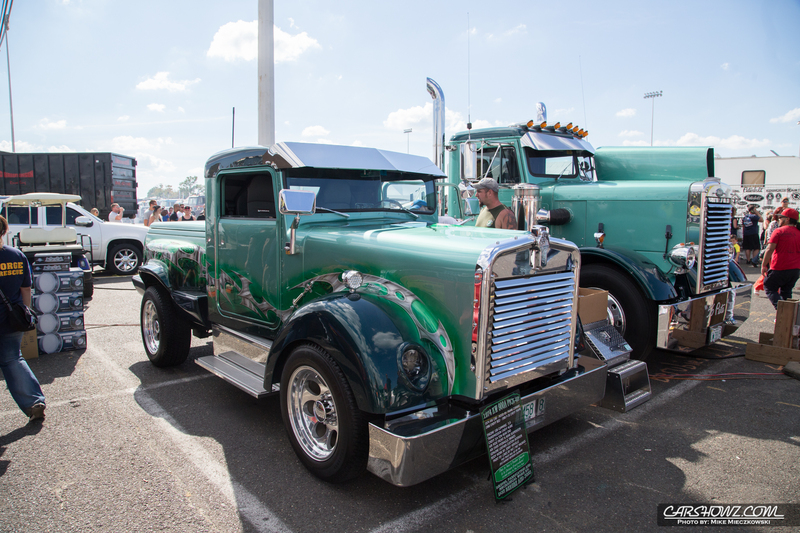 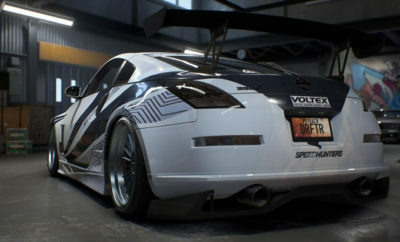 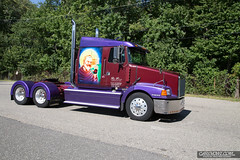 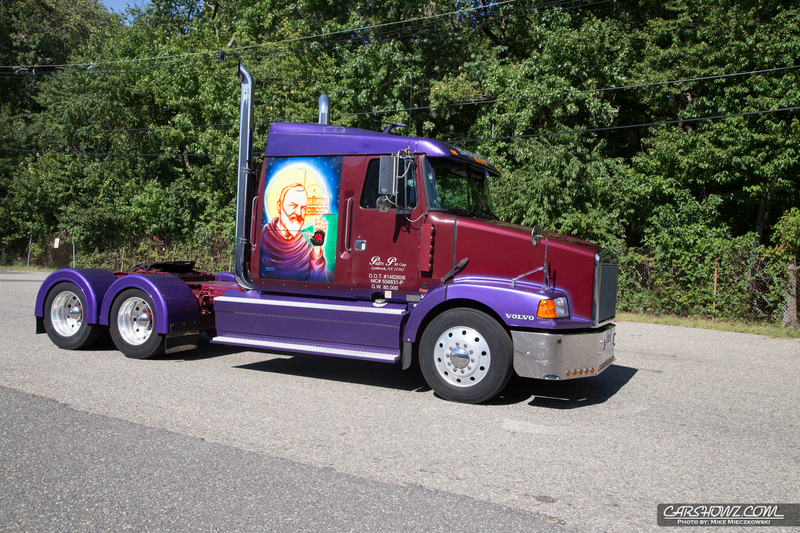 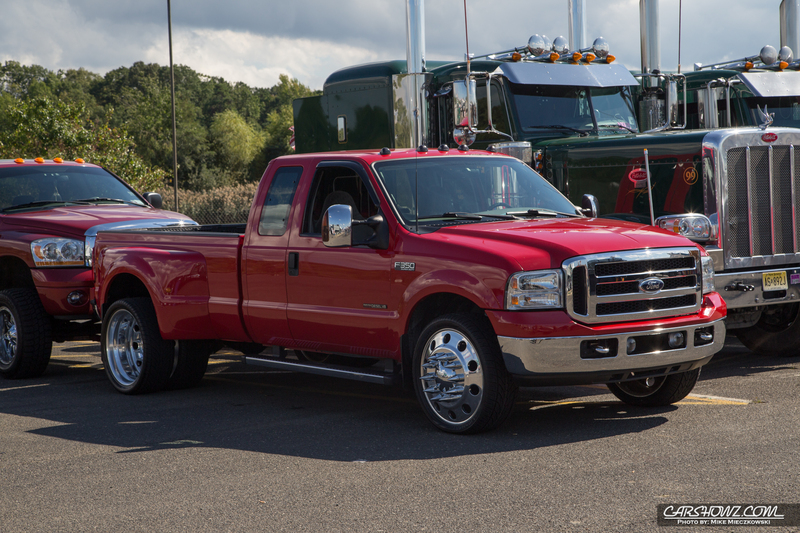 Everything from flat beds to dump trucks and cab-overs to trash trucks could be found. 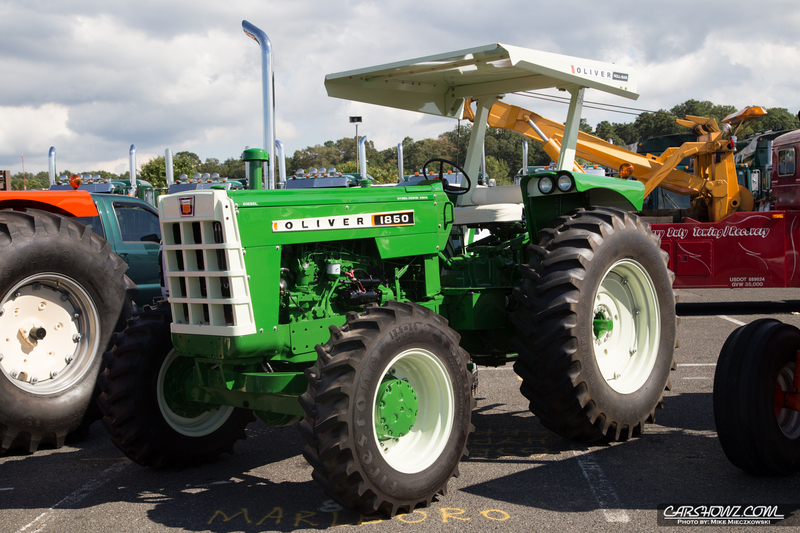 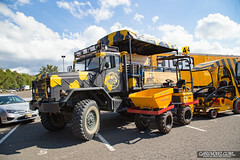 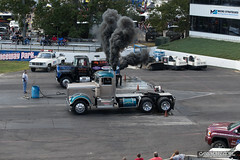 If it had diesel power it was at the show. 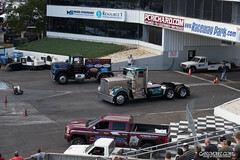 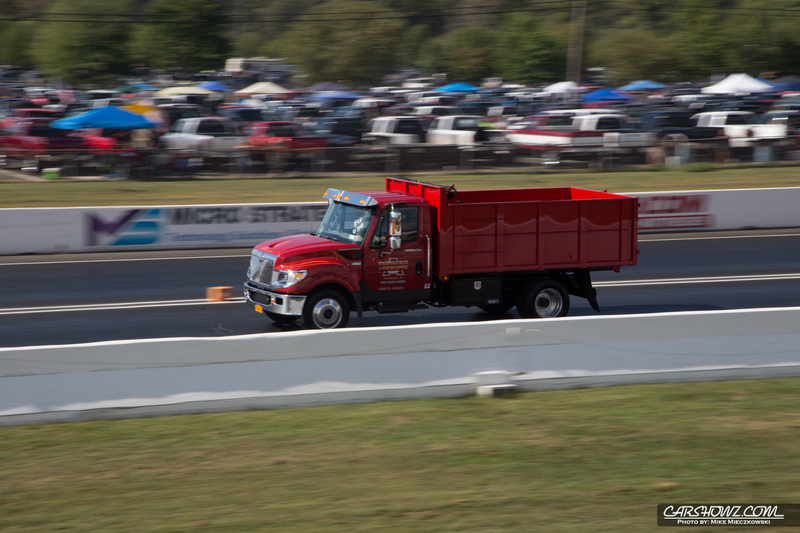 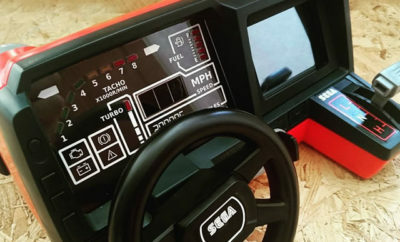 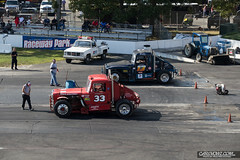 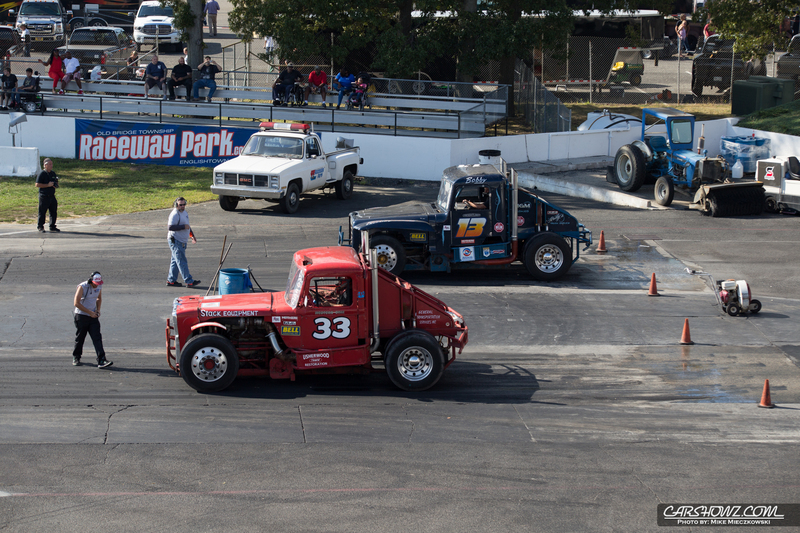 One of the things I like most about the event was the variety of trucks racing. 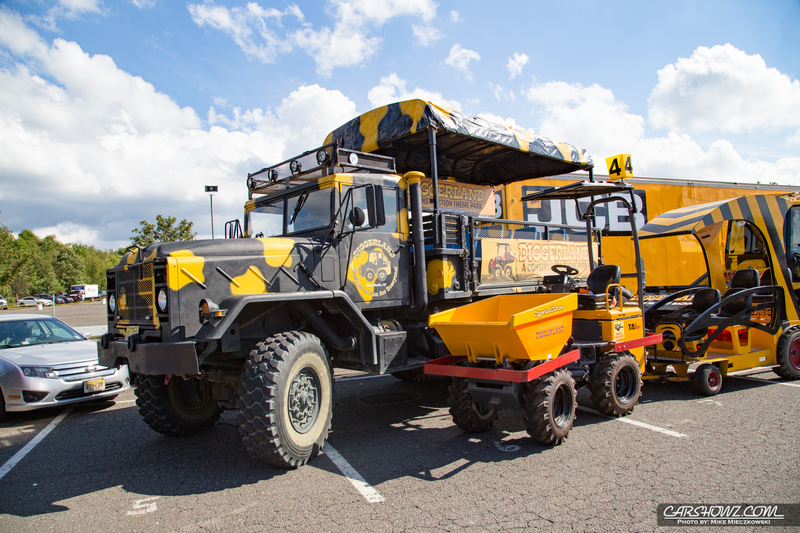 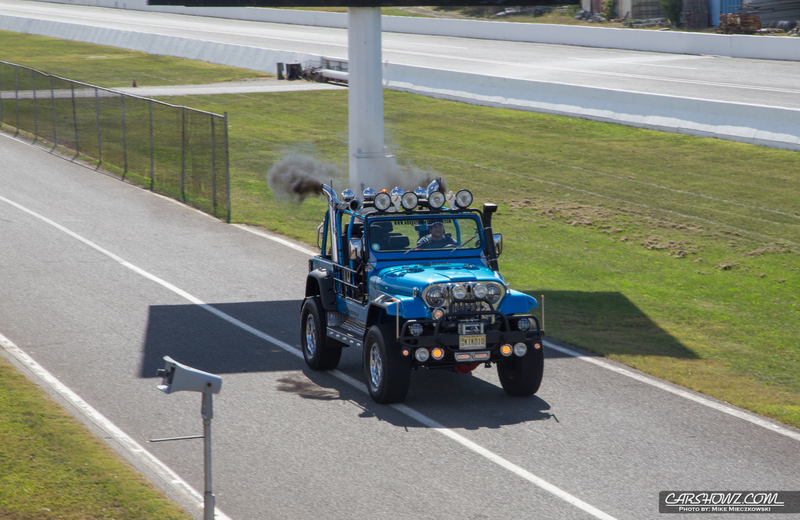 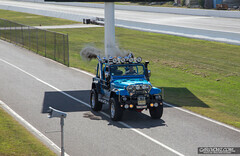 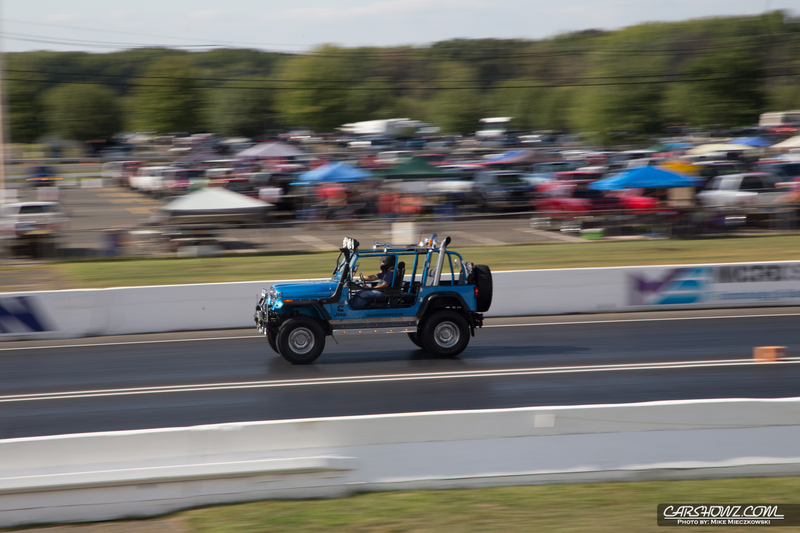 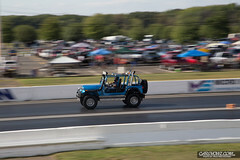 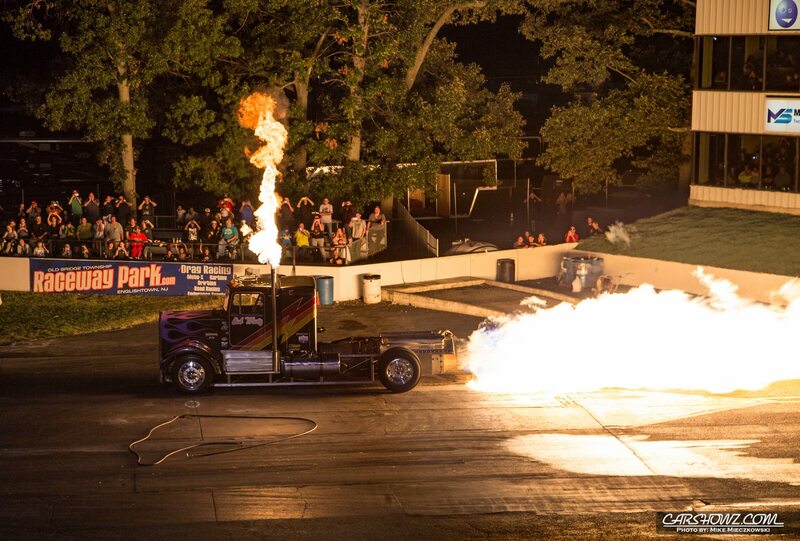 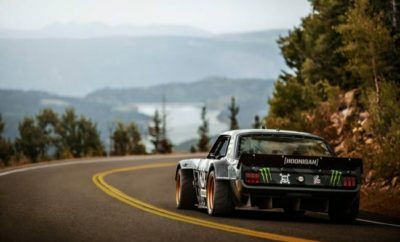 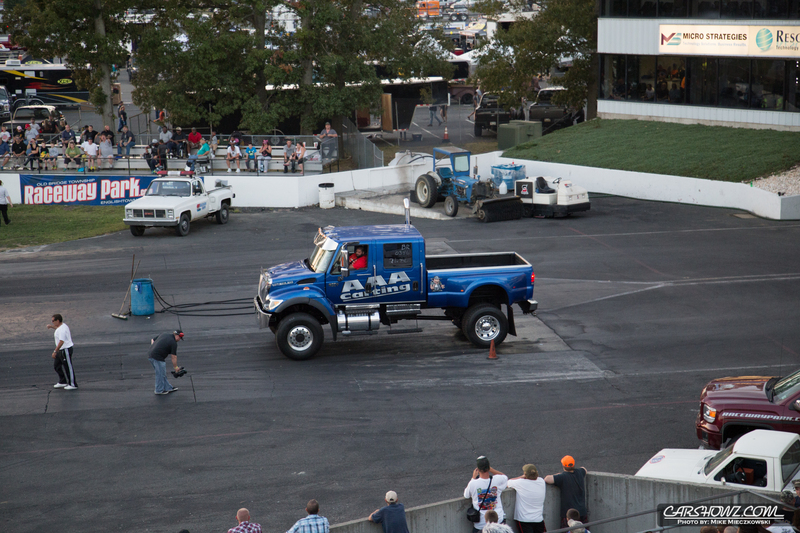 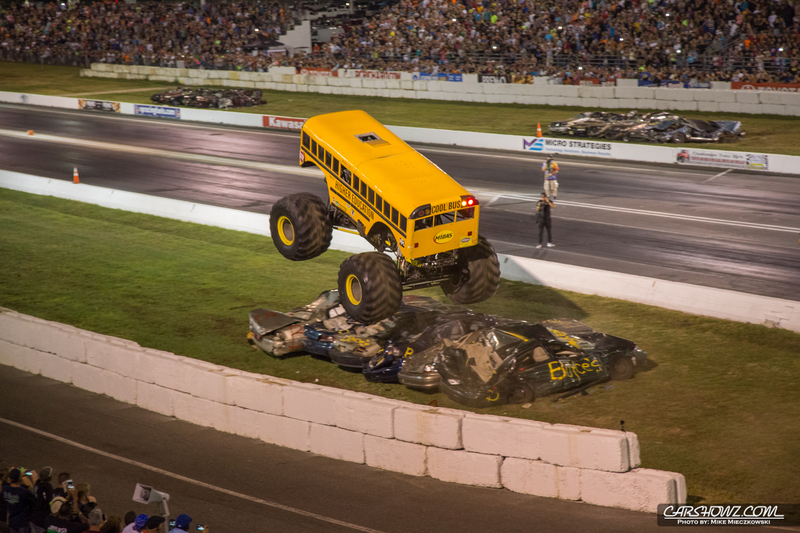 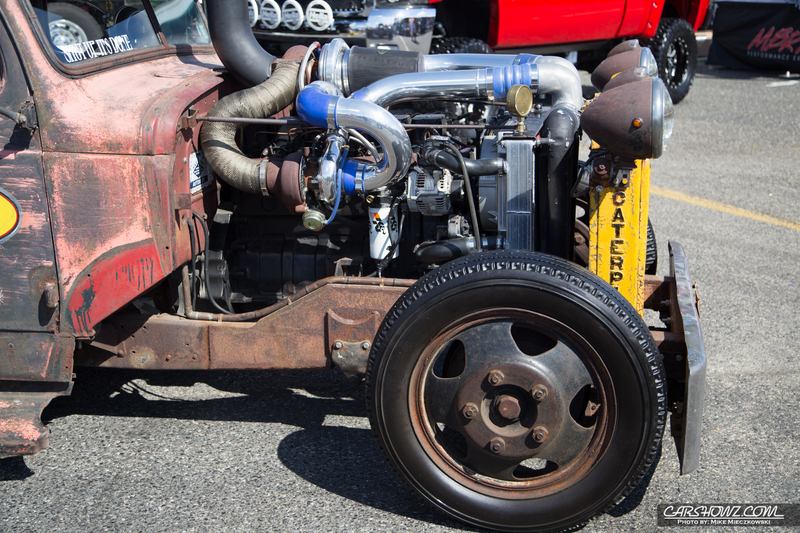 Everything from a diesel powered Jeep to trash trucks made their way down the track. 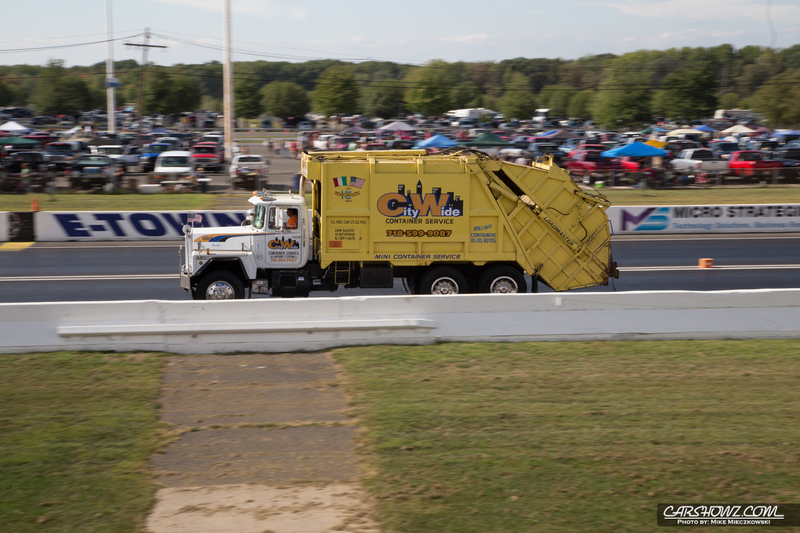 Even though seeing a trash truck or dump truck run 30 seconds in the quarter mile is not very exciting it is pretty neat to see. 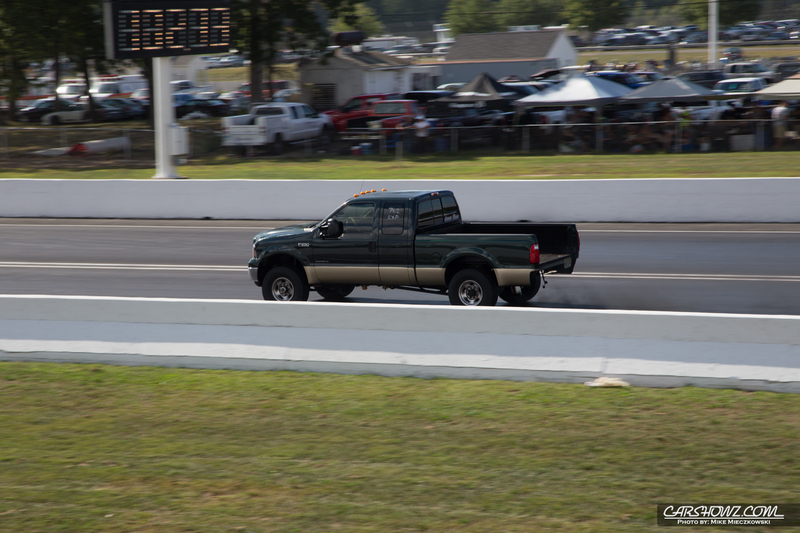 I have been going to track events for over 23 years and that was the first time I saw either run the track. 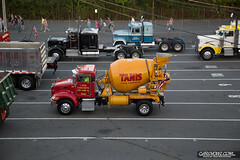 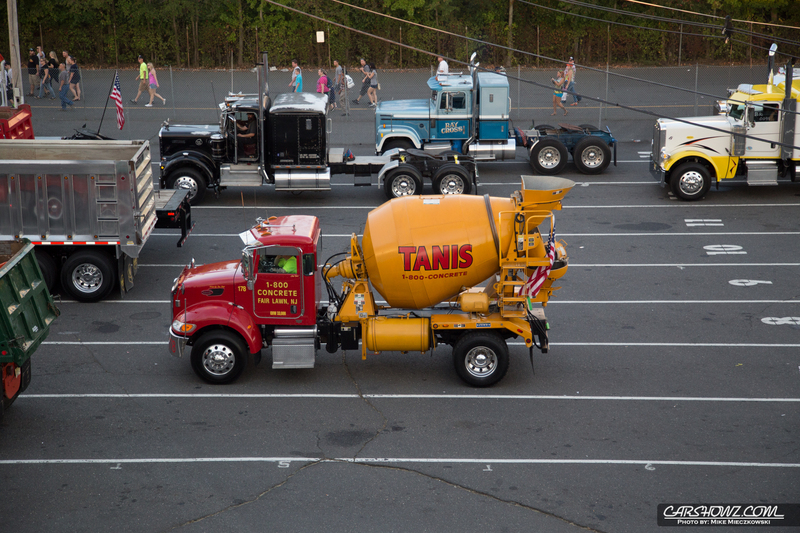 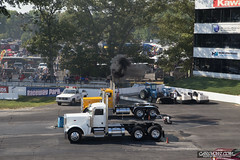 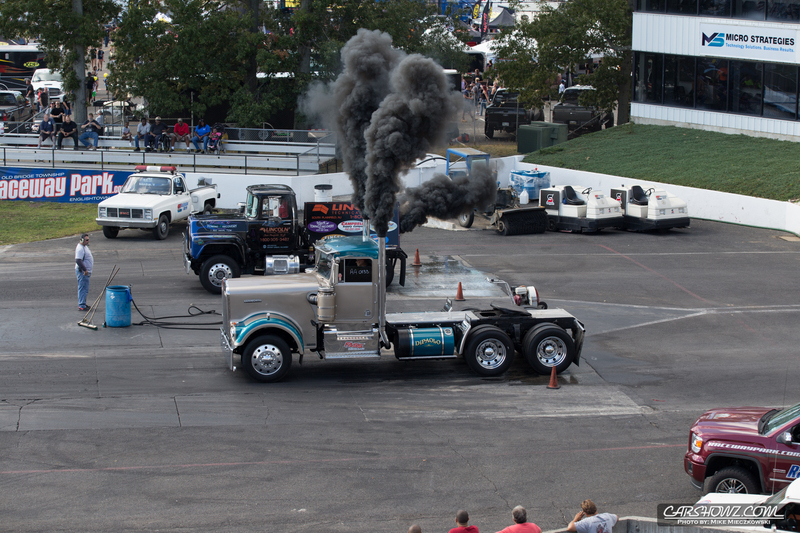 I have seen big rigs run but not the quantity that was at the Diesel Truckin’ Nationals. 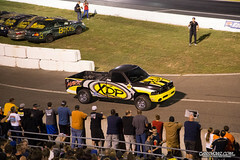 The long day led to night and what a night it was. 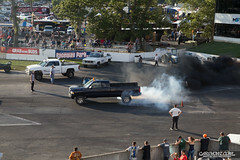 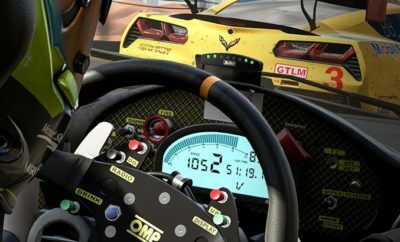 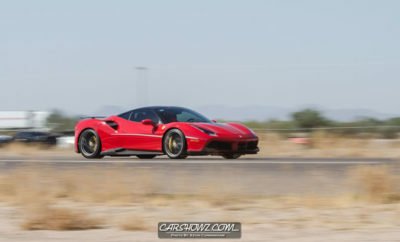 After the finals for racing completed it was time for the Motorsports Spectacular. 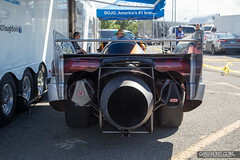 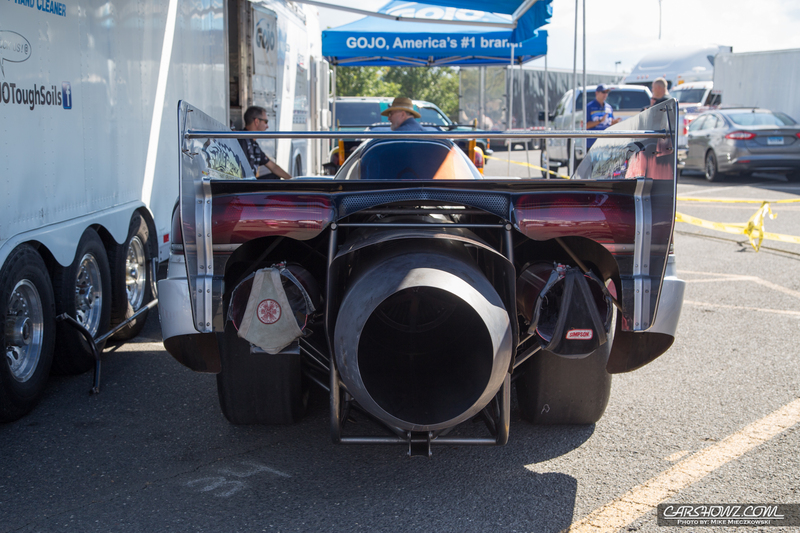 Five jet powered vehicle deafened the crowd with their roar. 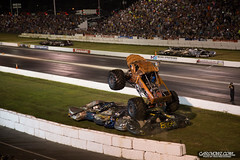 Monster Trucks crushed cars in a race to be the fastest around the course and a wheel stand truck made its way down the track (though not a full wheel stand run). 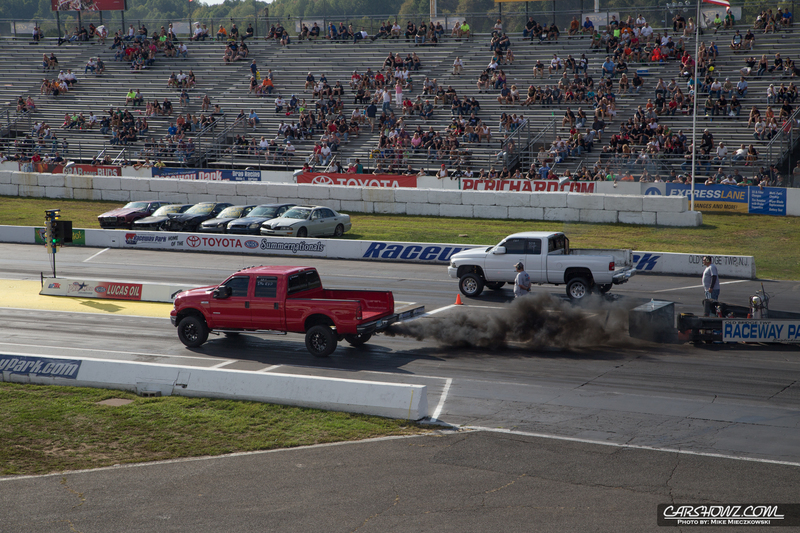 All of this made a fun day at the track into an amazing day.